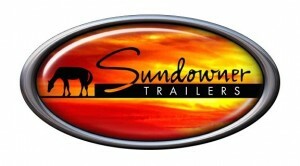 For over 40 years Sundowner has been an industry leader in the manufacturing of horse trailers. 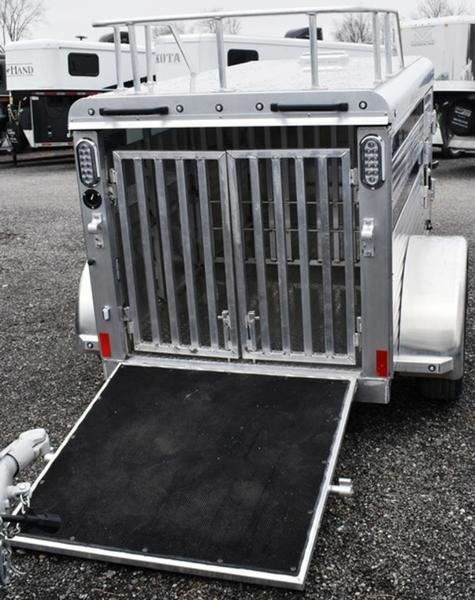 Safety for Sundowner users and their precious cargo has always been our number one priority. 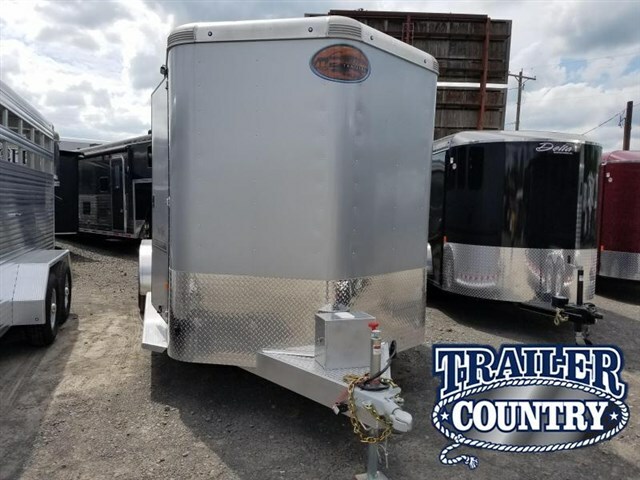 We offer an endless array of all aluminum models to satisfy every user's needs and strive to produce trailers at affordable prices without sacrificing the Sundowner quality that customers expect. 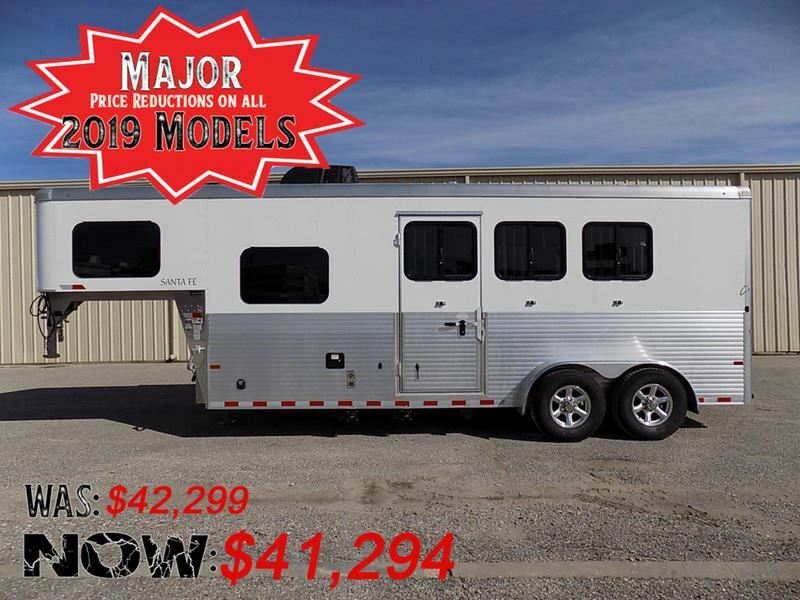 Sundowner takes pride in constant product development and improvements to stay ahead of the industry in both ease of use and functional amenities that make hauling more enjoyable for Sundowner owners and their horses. 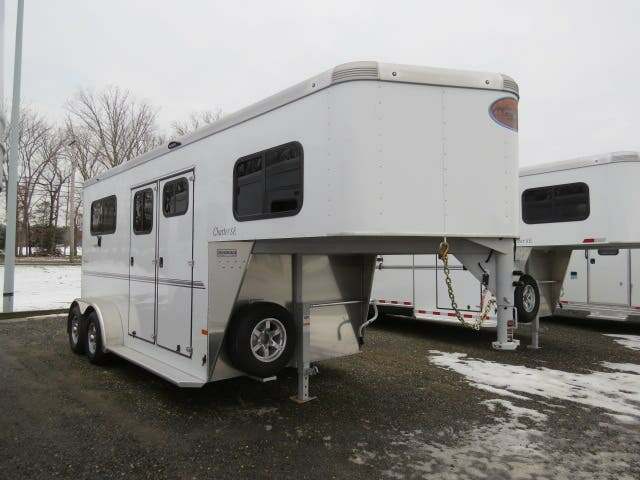 From a small two horse bumper pull to the largest luxury living quarters, Sundowner offers a horse trailer for everyone. 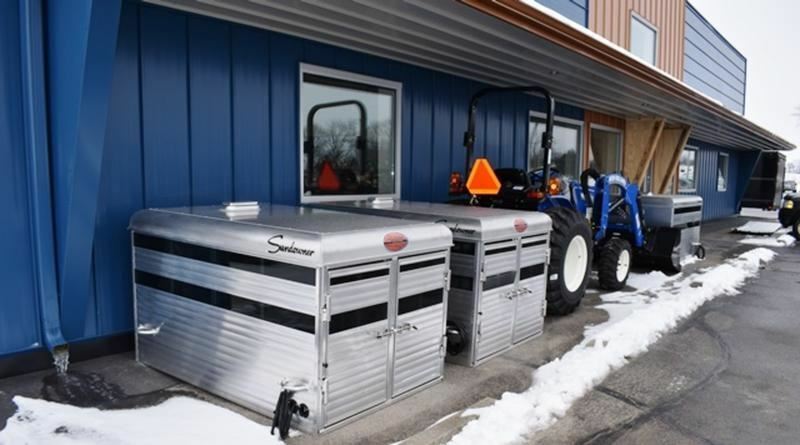 As the industry leader, Sundowner is committed to the ongoing improvement and upgrading of its extensive line of trailers. 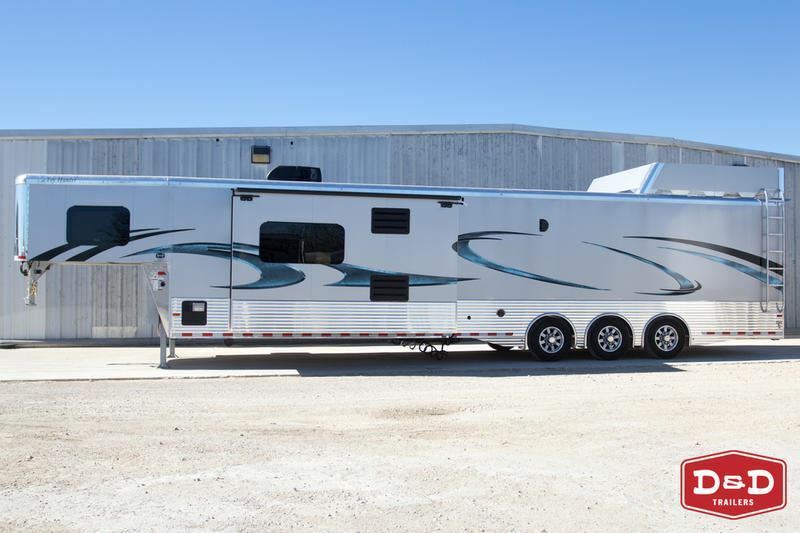 In fact, Sundowner continues to “raise the bar” with innovative features, exceptional workmanship, and attention to detail and safety. 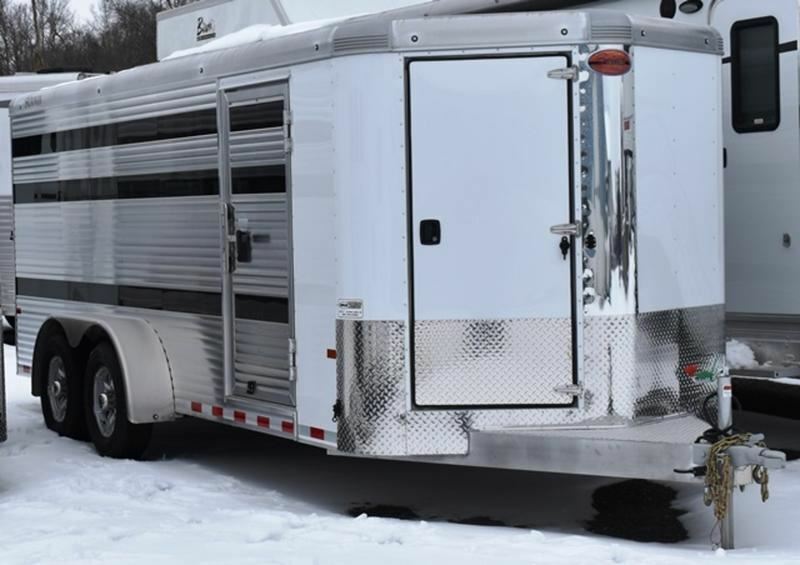 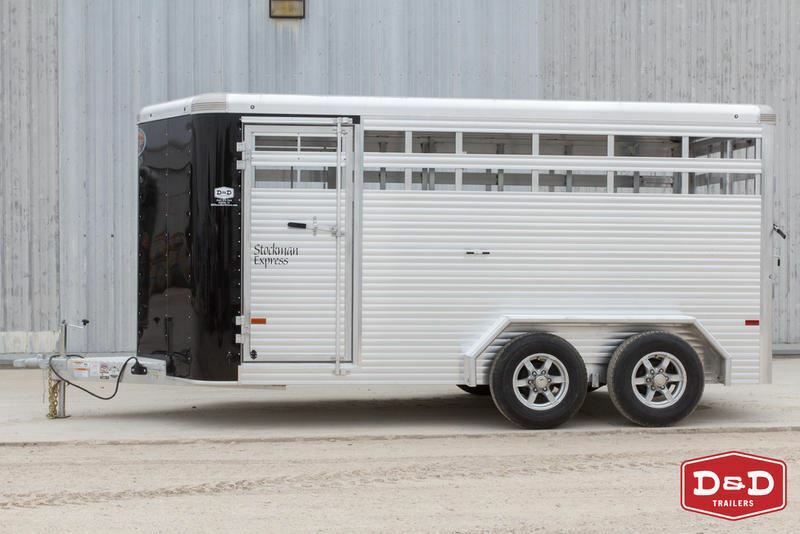 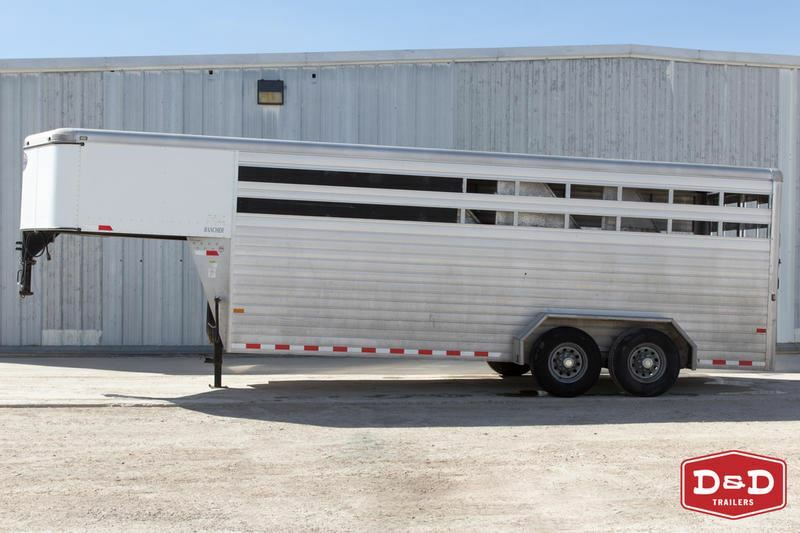 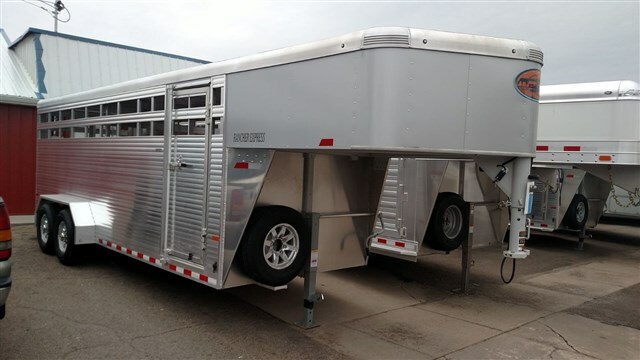 As the premier manufacturer of horse and livestock trailers, Sundowner offers uncompromising value, ease of maintenance, customized designs and a broad dealer network with first-rate customer service. 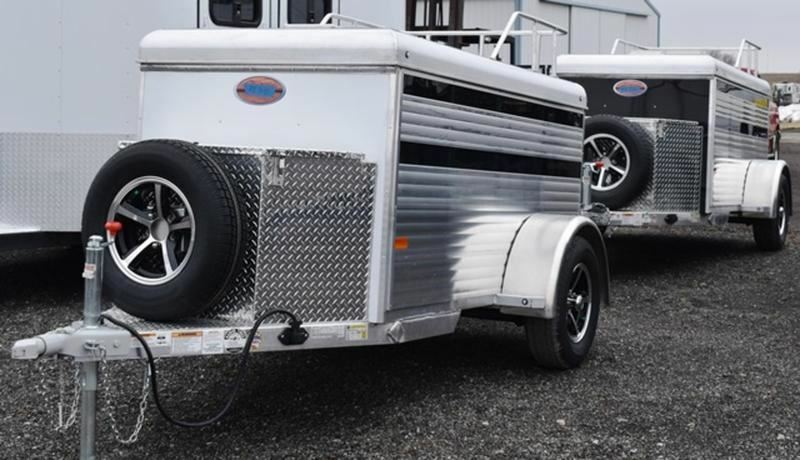 And, of course, Sundowner’s unsurpassed, “single source” three-year hitch-to-bumper/eight year structural warranty really says it all — no other trailer can compare. 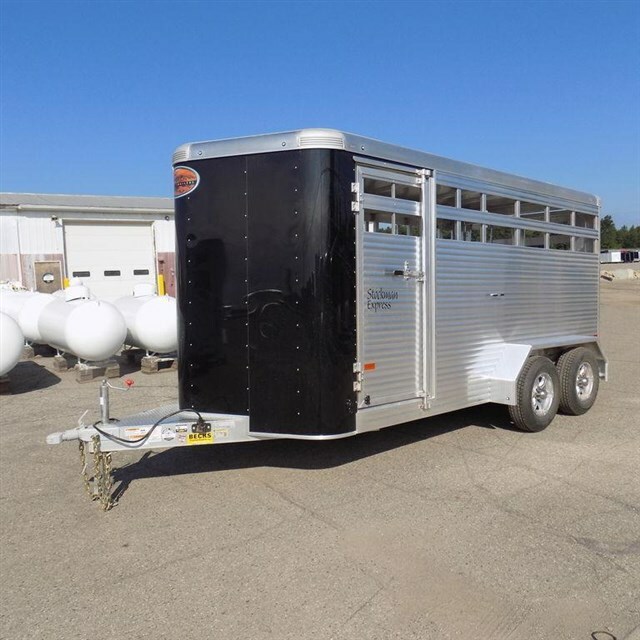 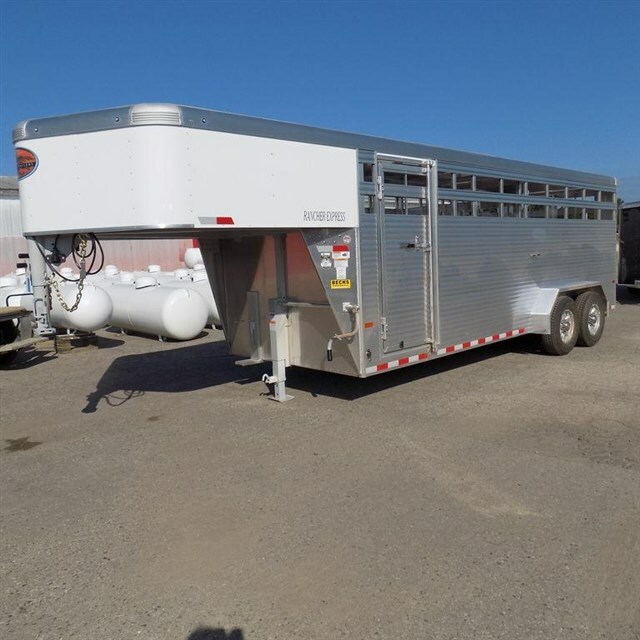 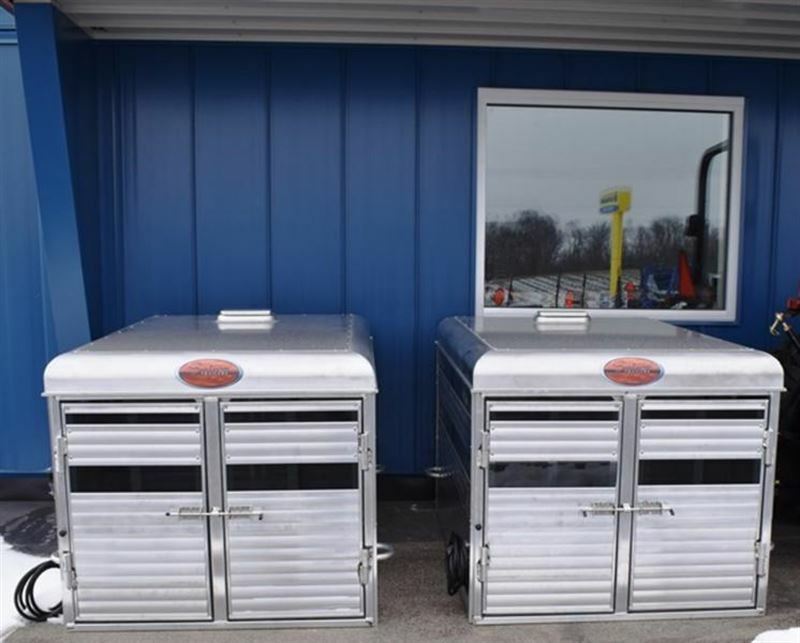 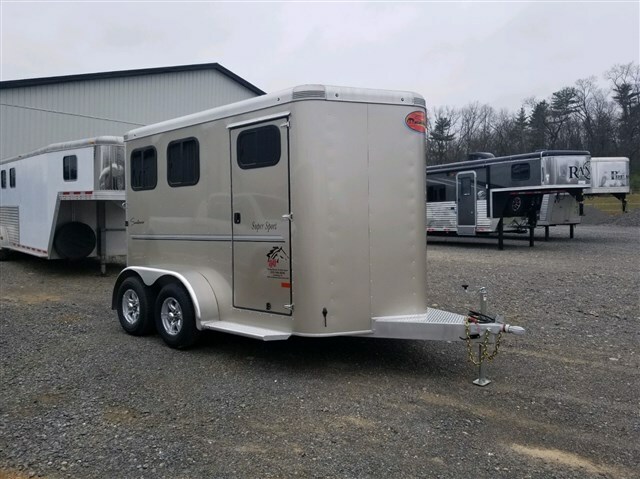 In addition to horse and livestock trailers, Sundowner's offers a wide selection of low-pro, living quarters, cargo and toy hauler trailers for their customer's needs. 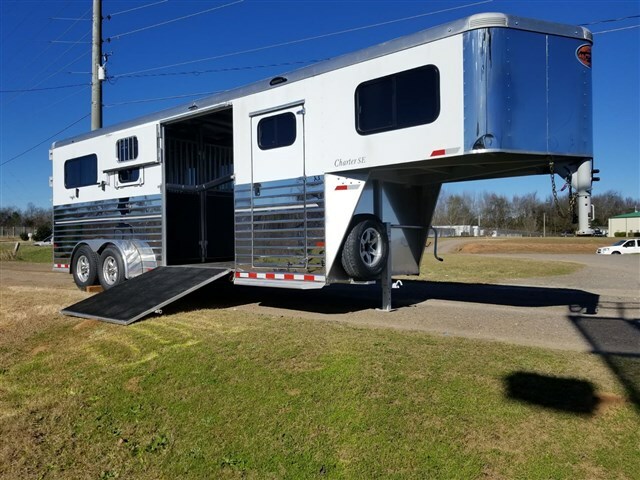 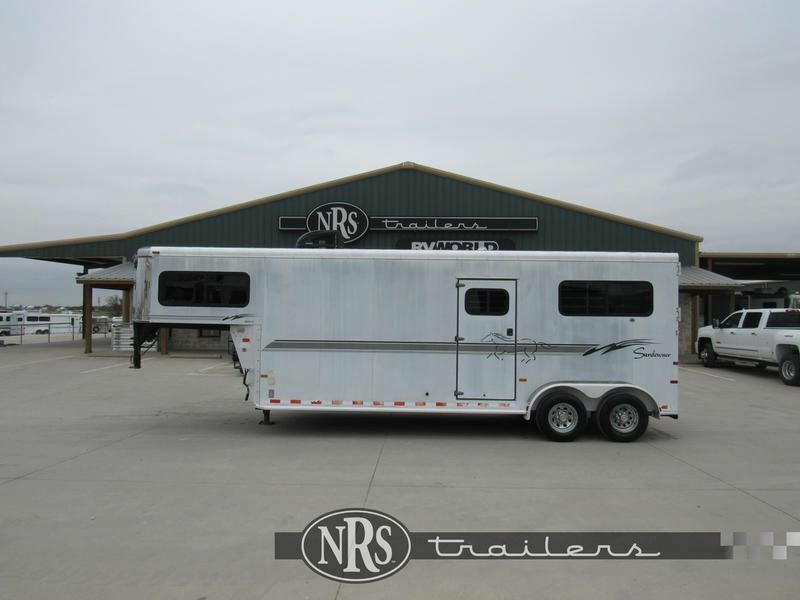 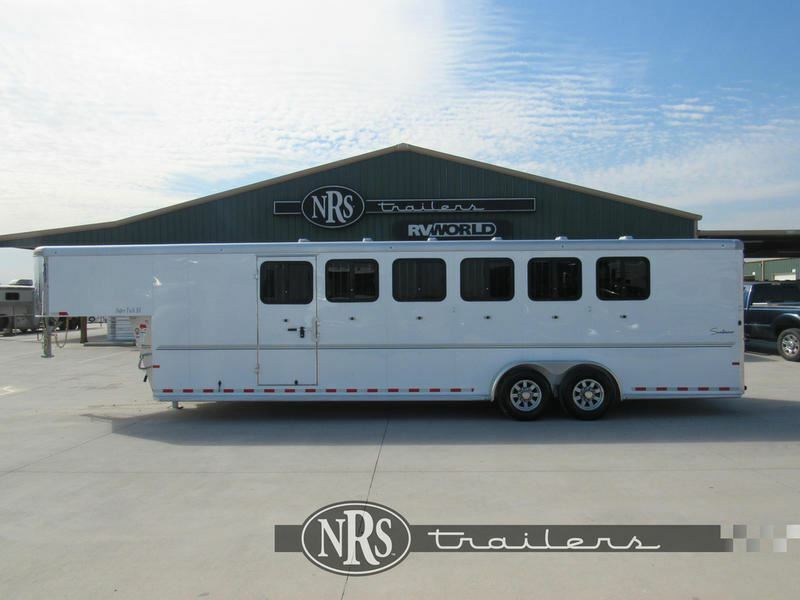 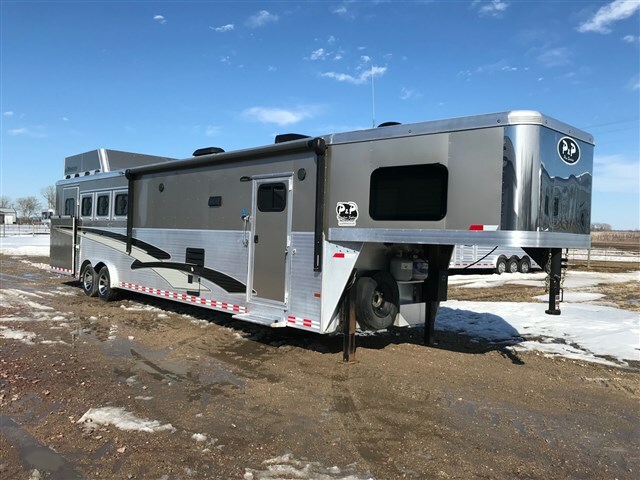 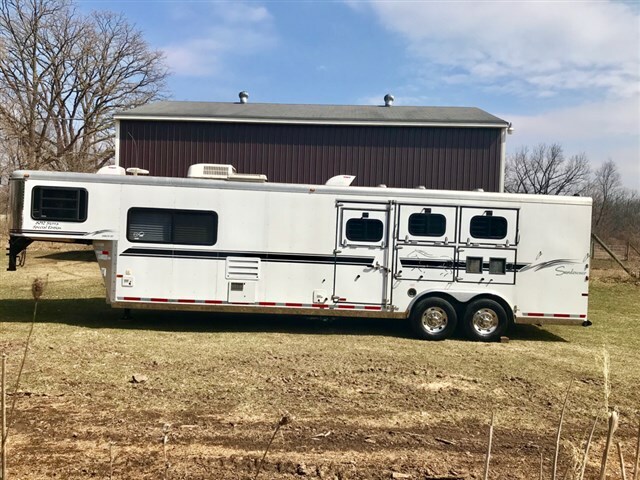 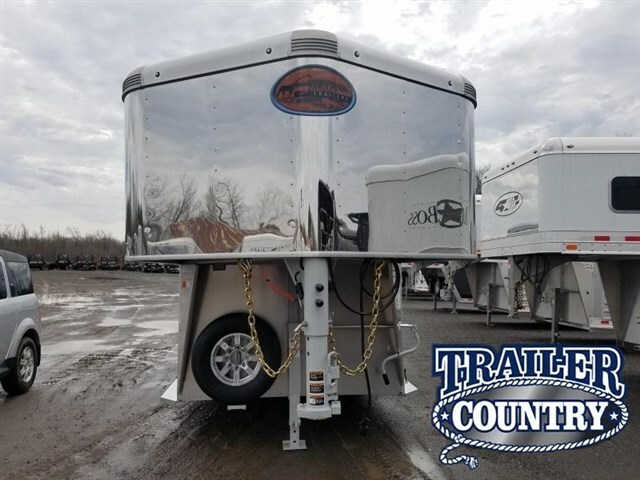 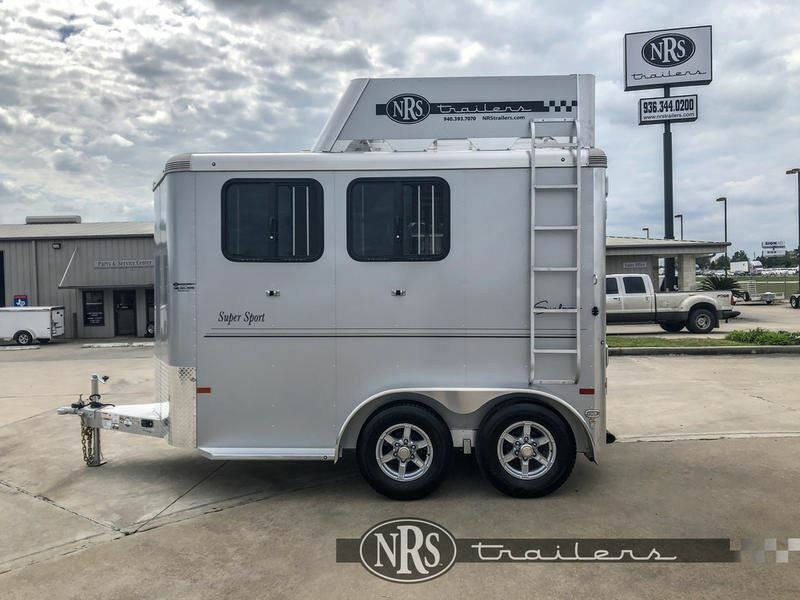 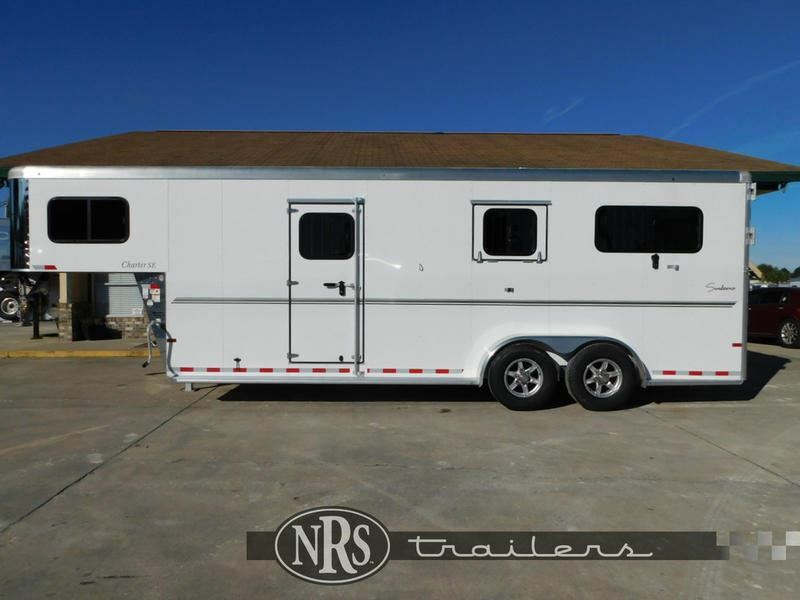 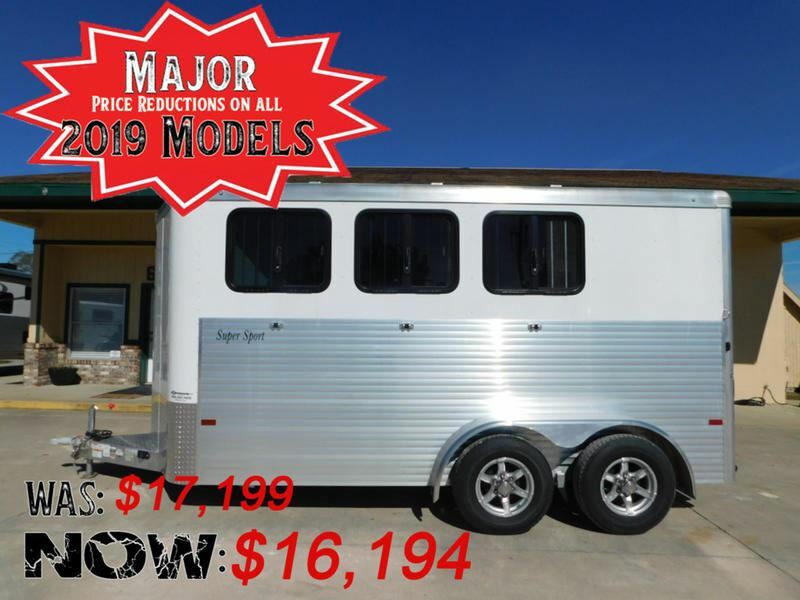 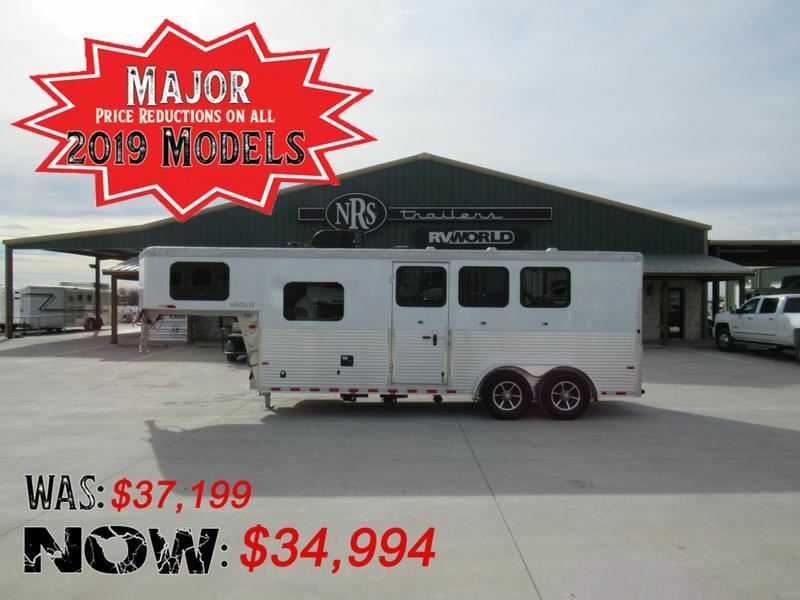 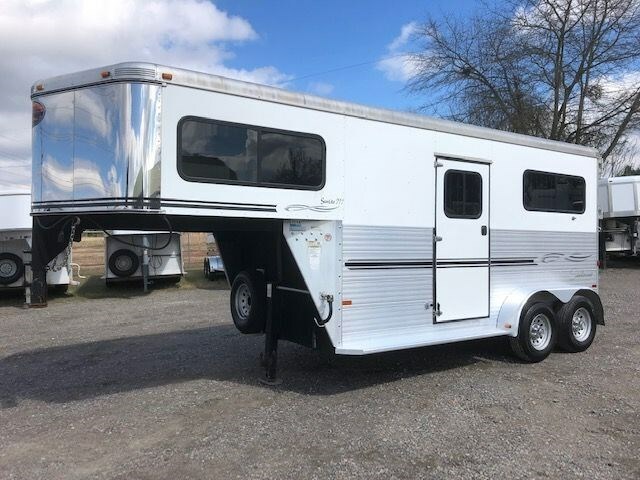 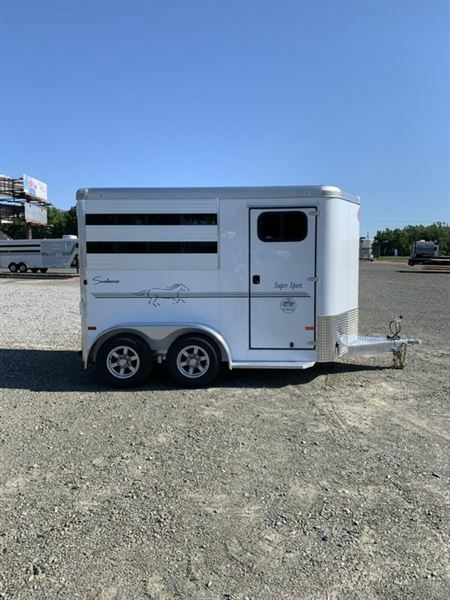 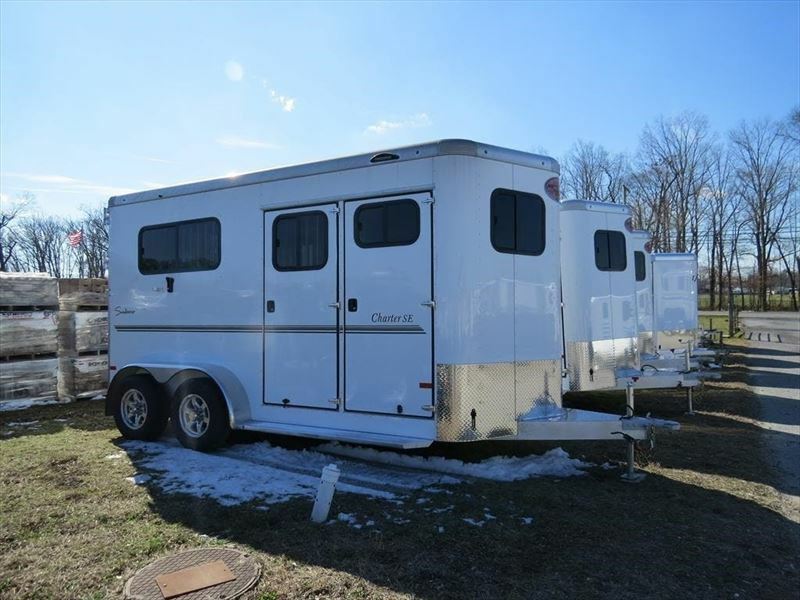 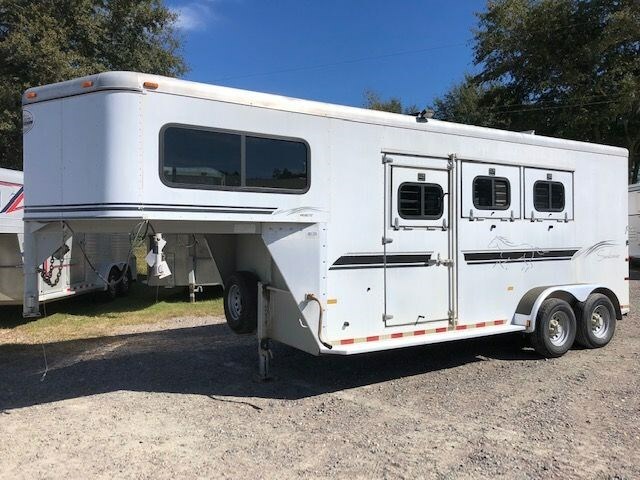 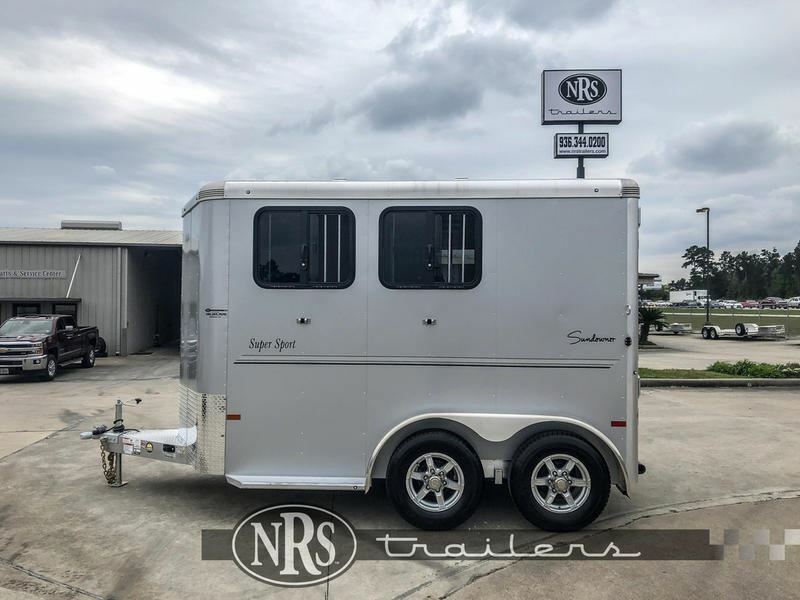 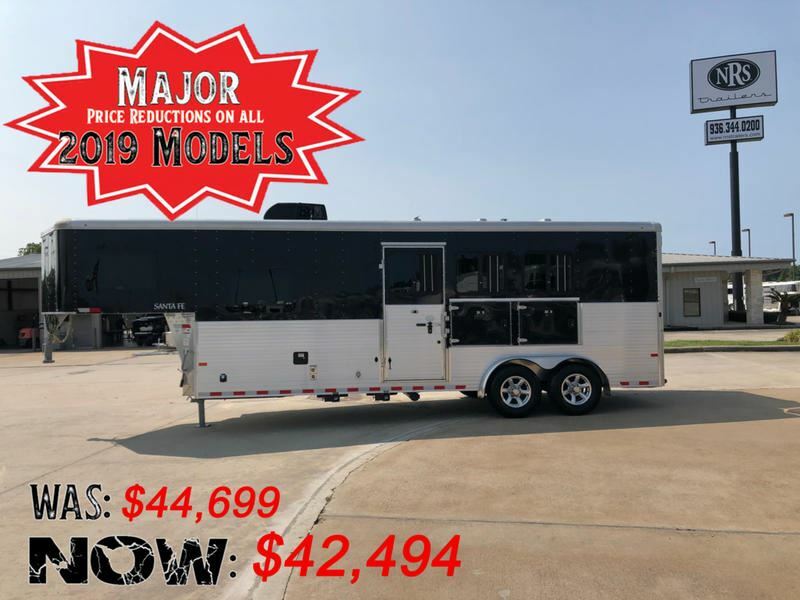 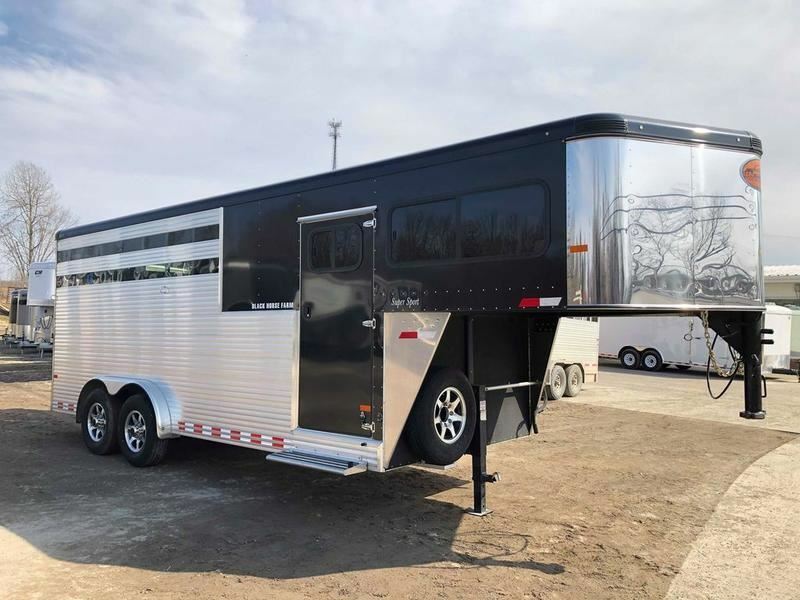 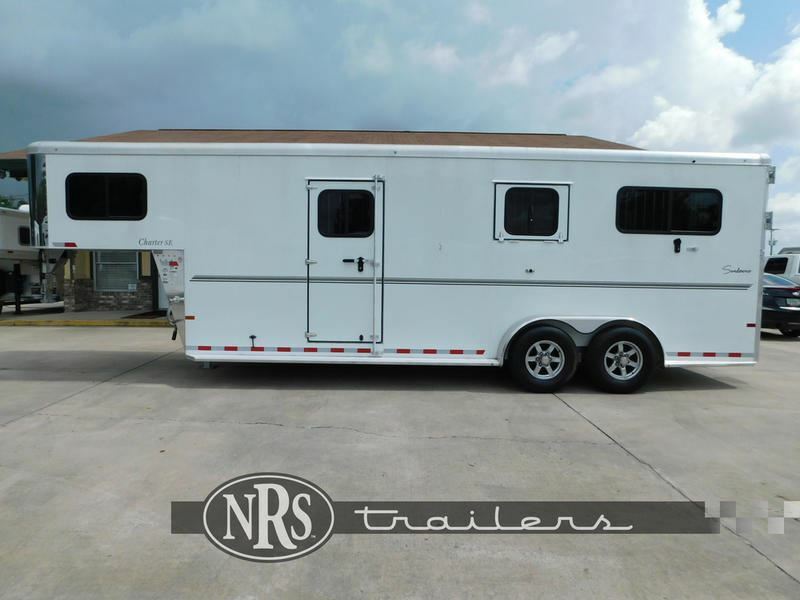 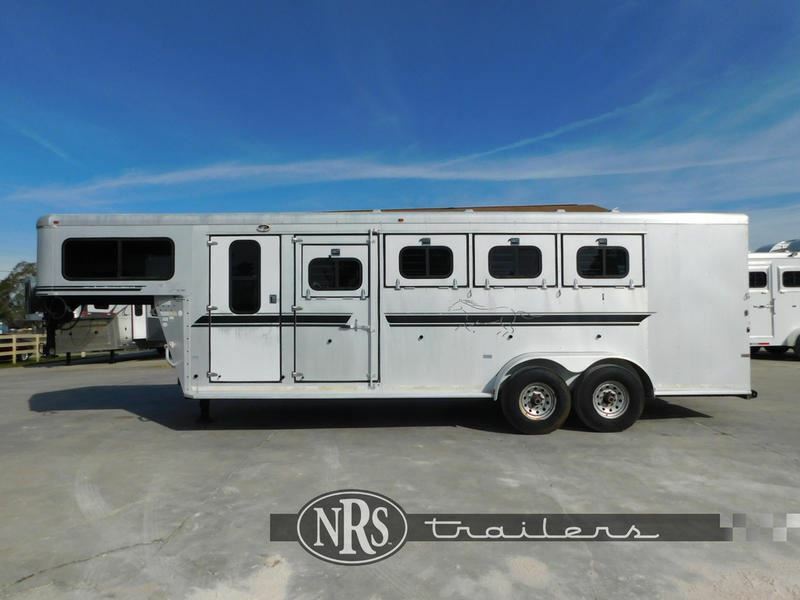 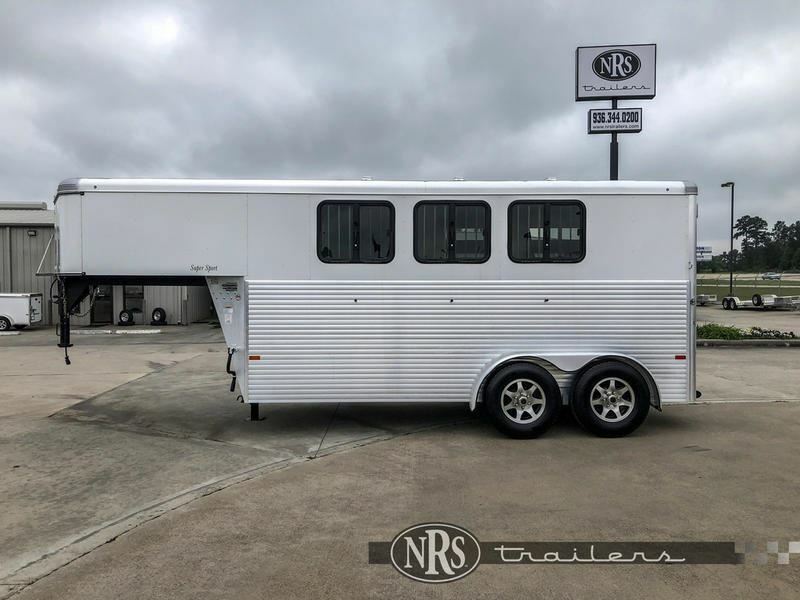 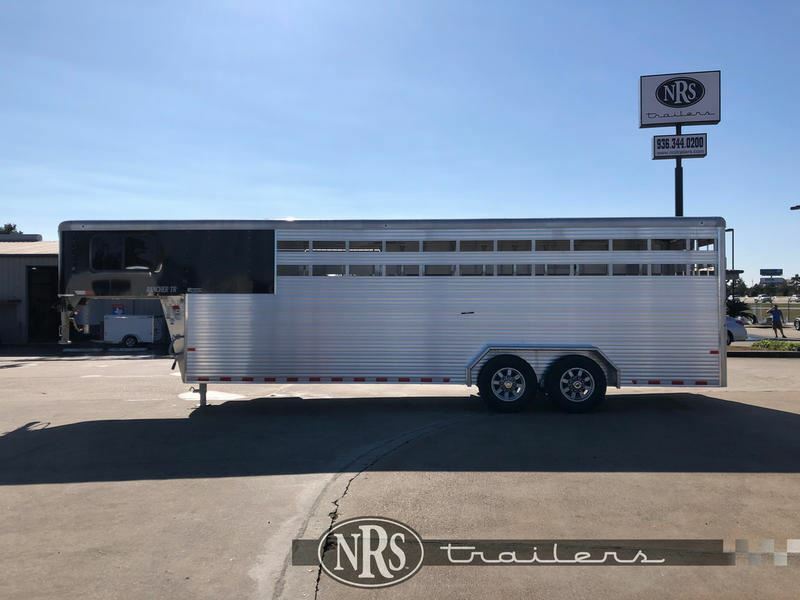 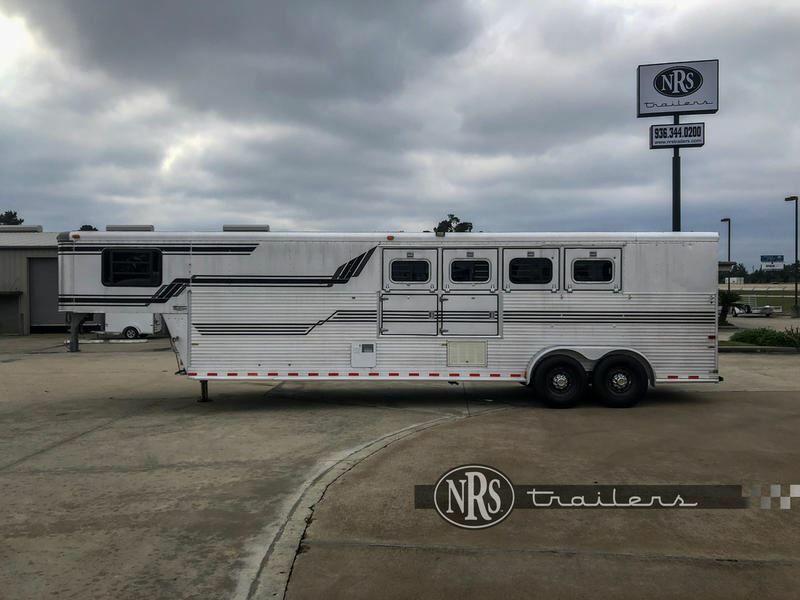 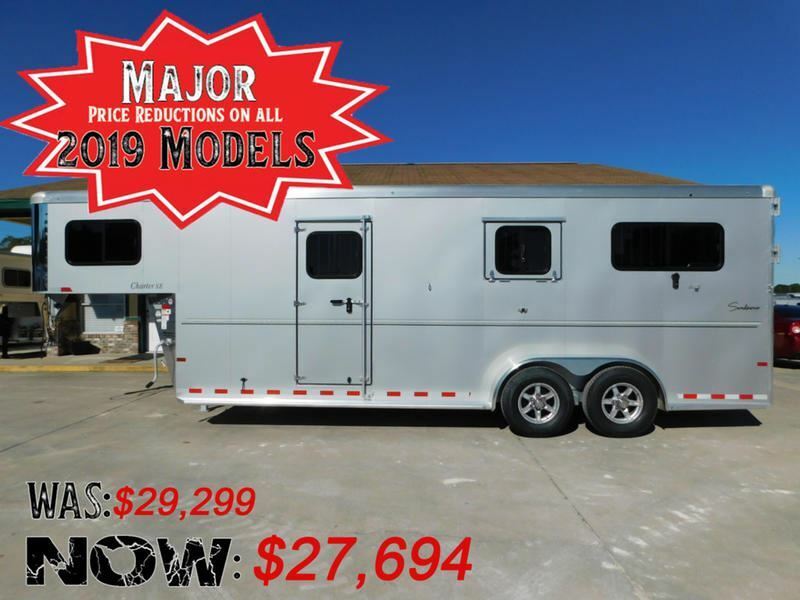 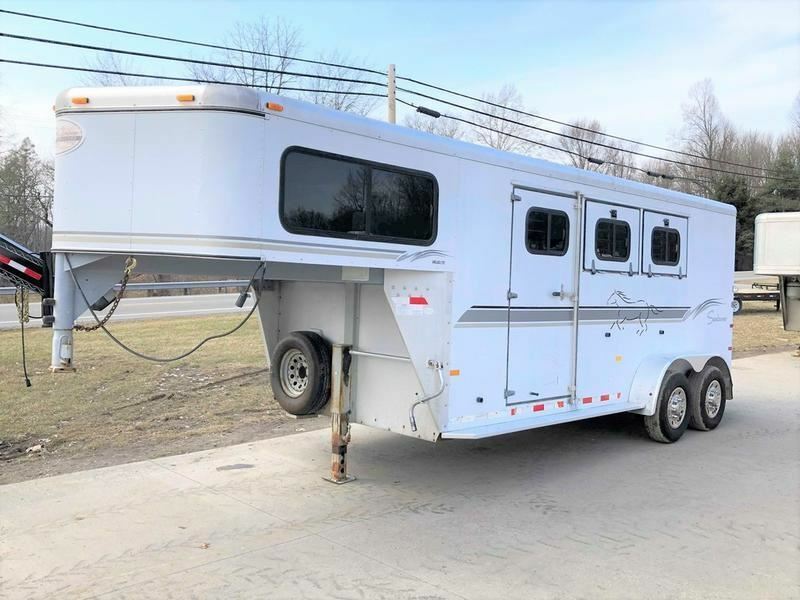 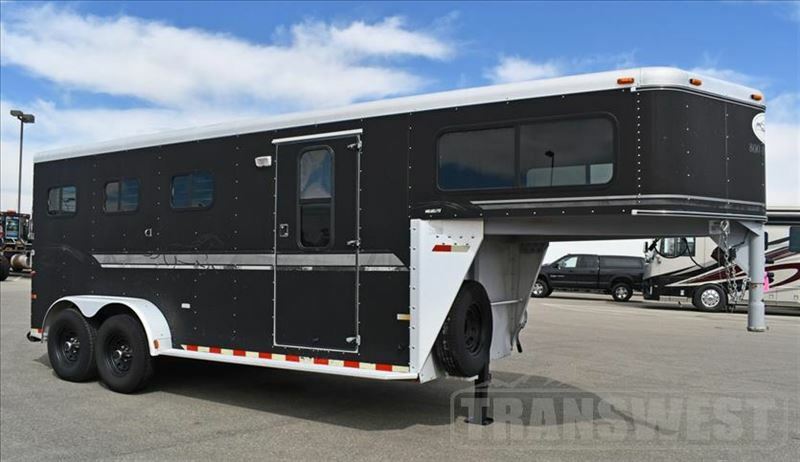 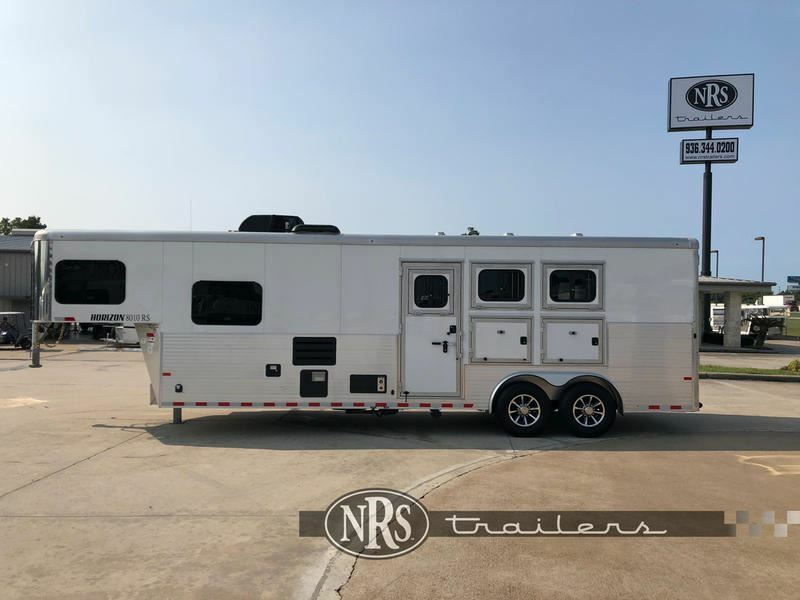 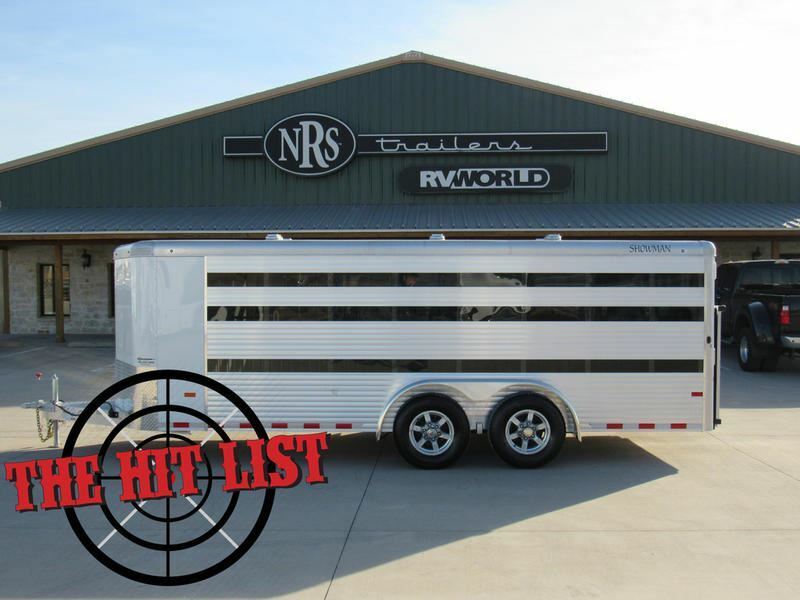 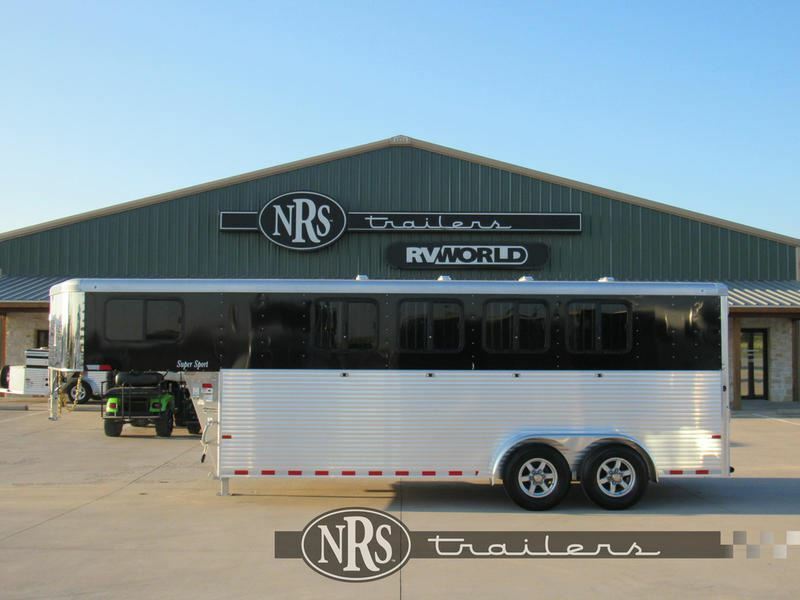 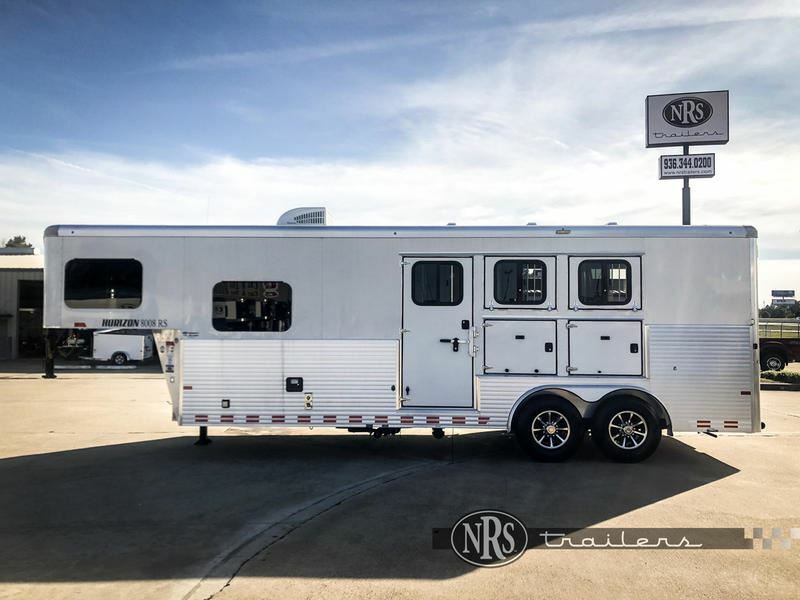 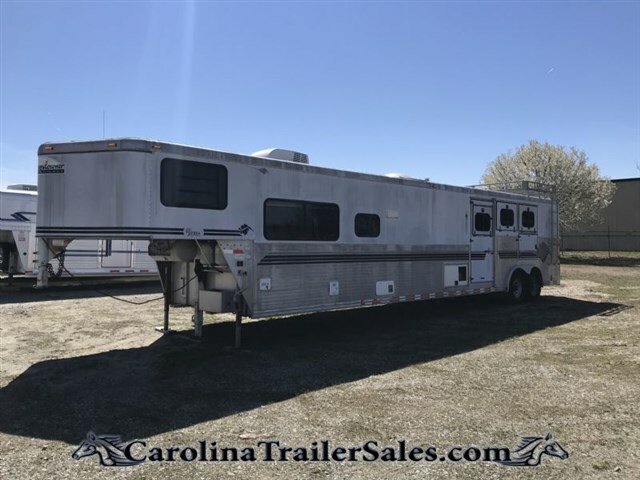 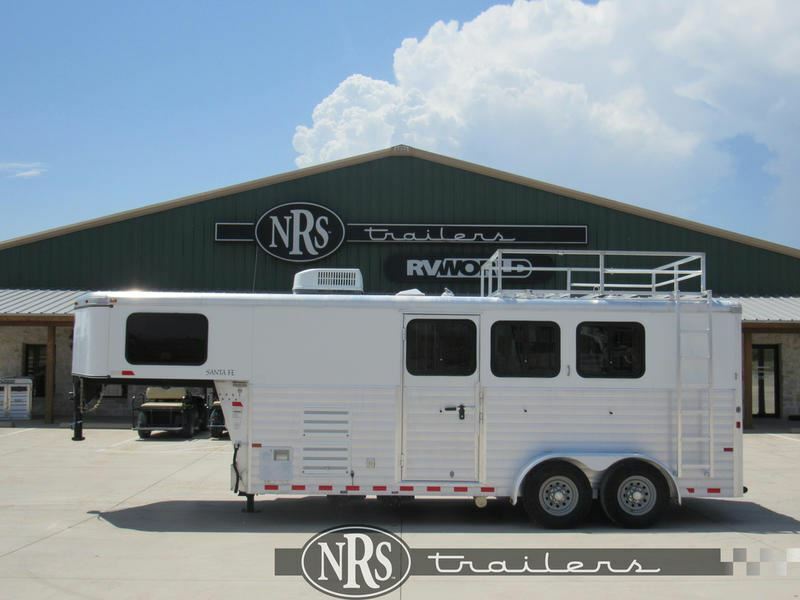 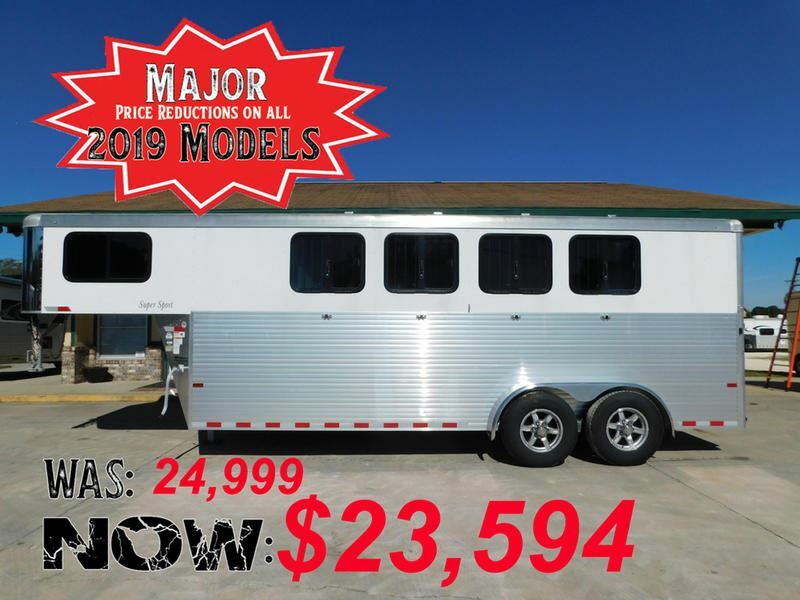 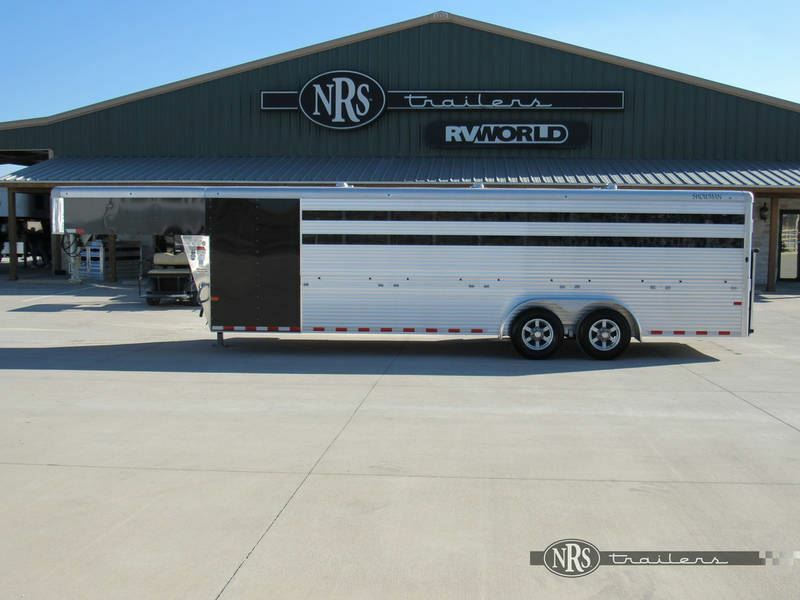 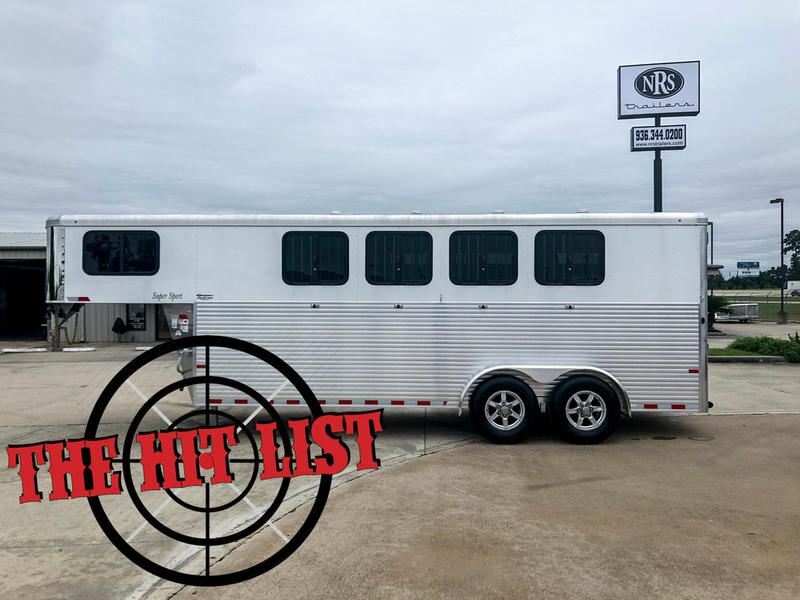 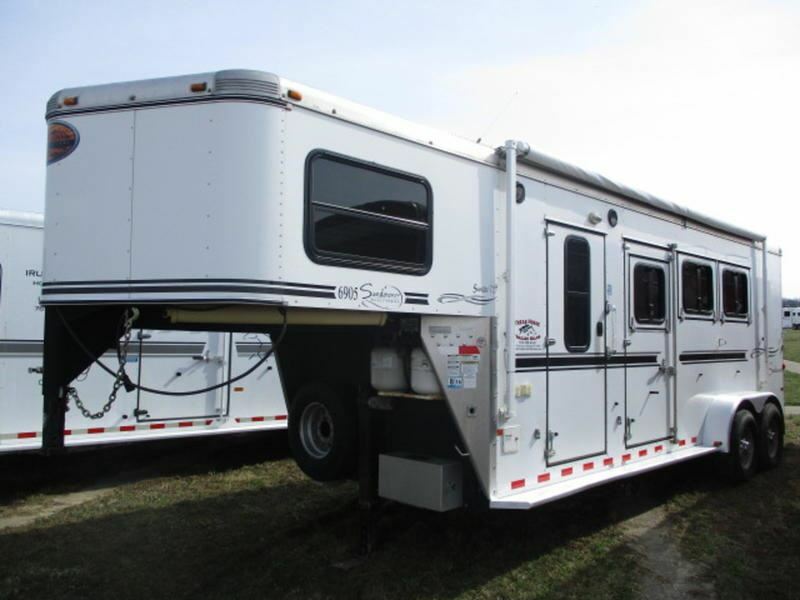 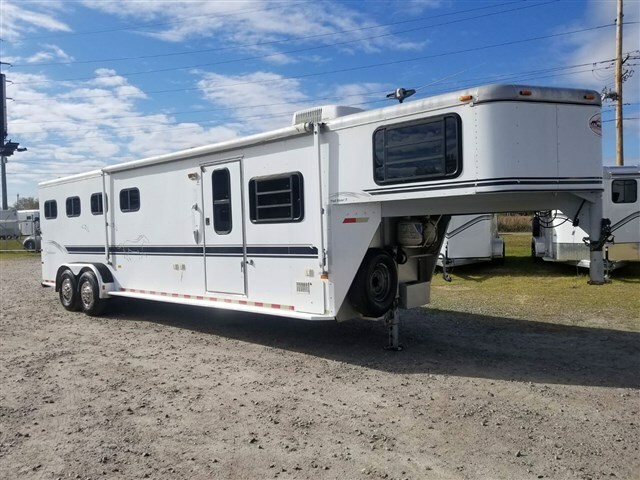 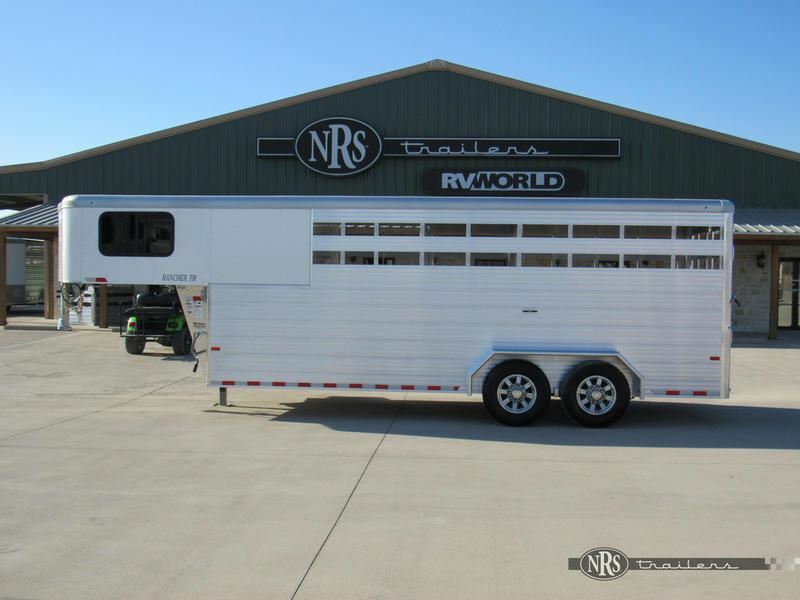 2019 3 horse Sundowner 3H Sierra, 15' LQ, Bunk Beds, Midtack & Gen! 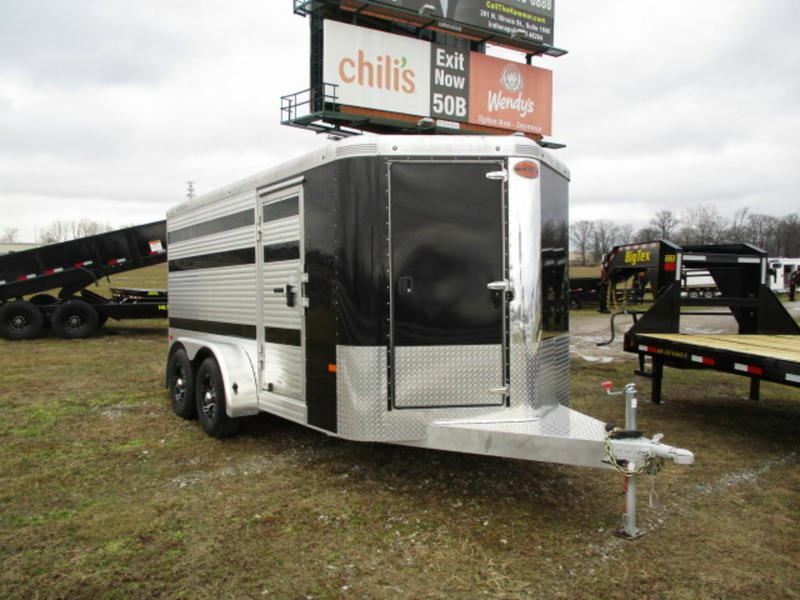 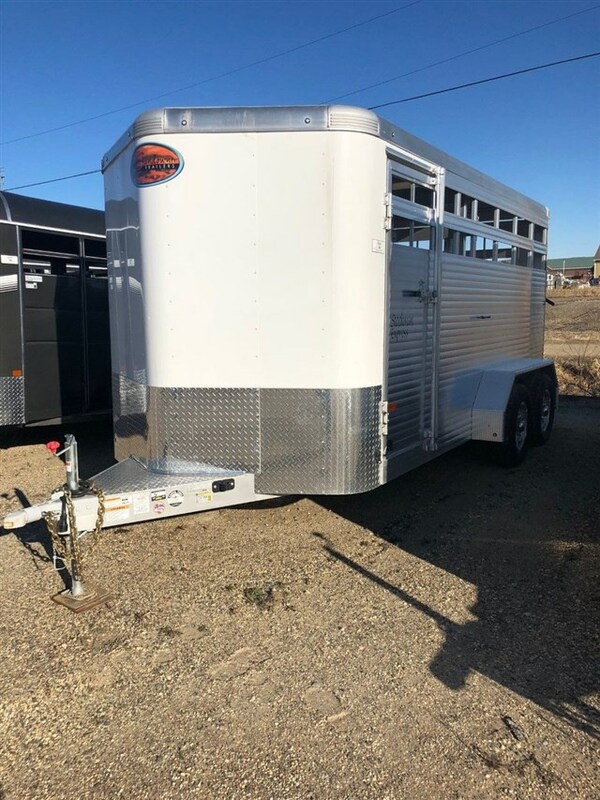 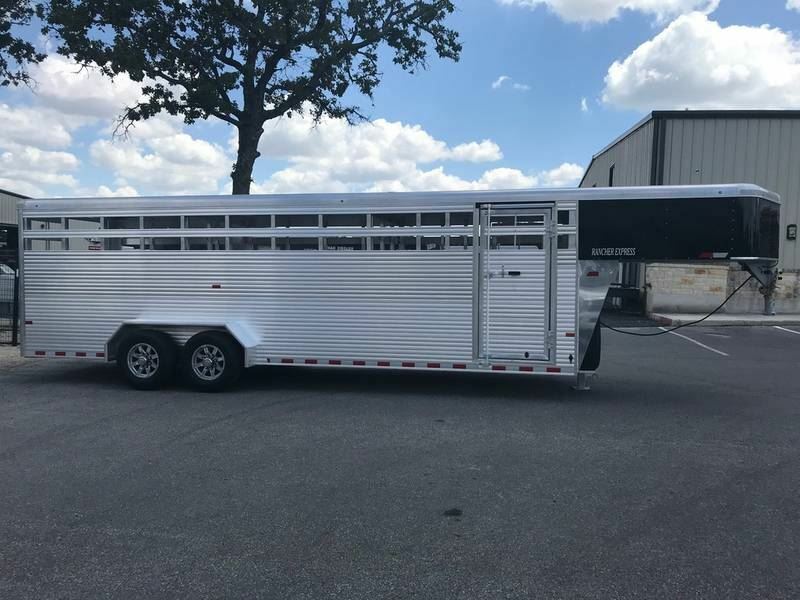 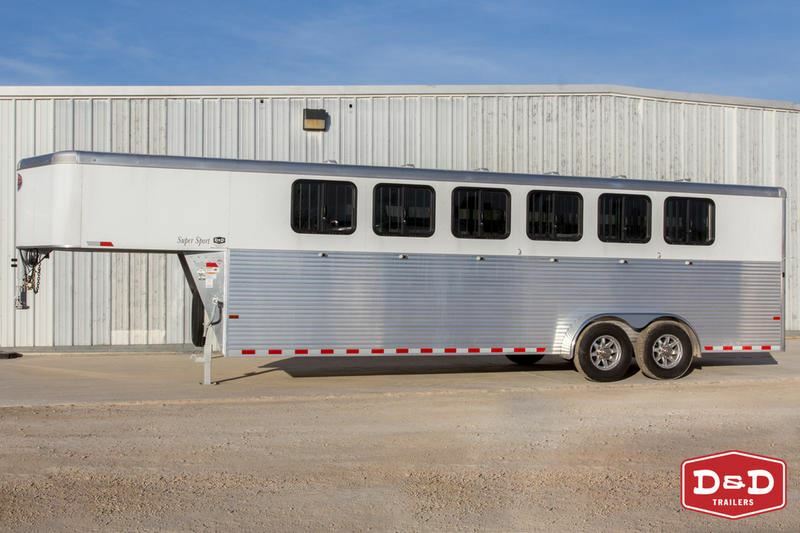 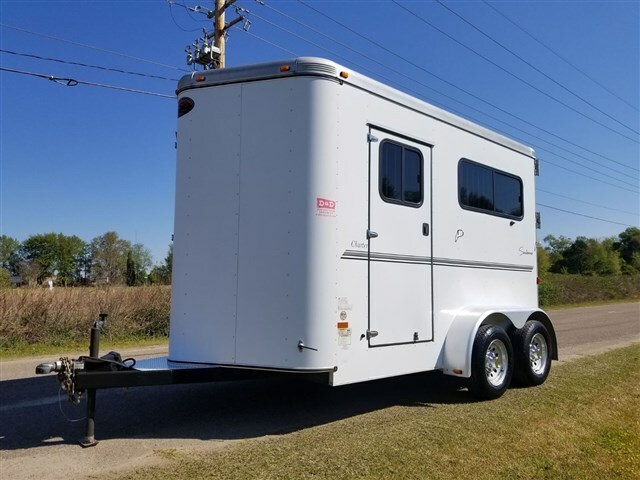 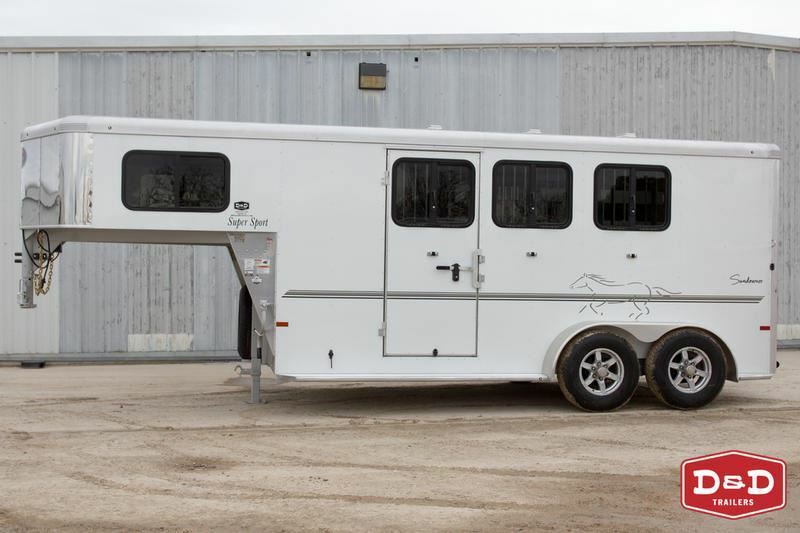 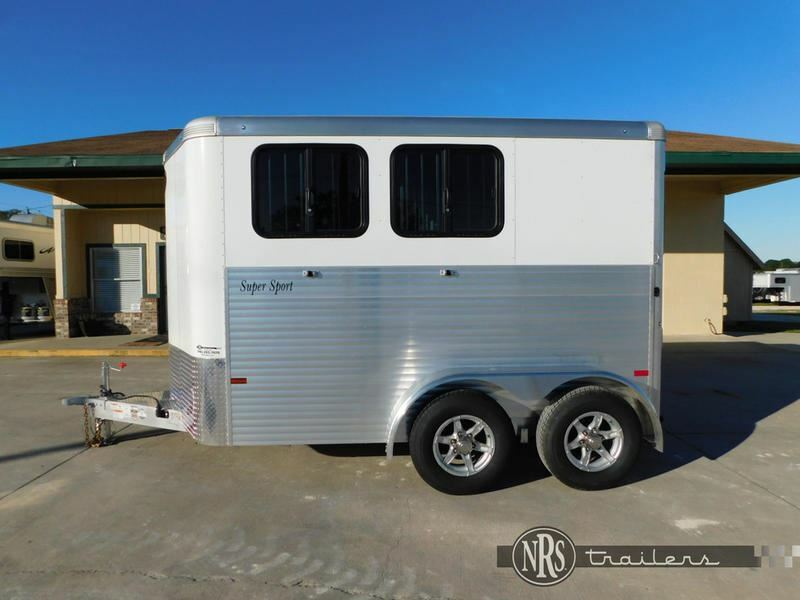 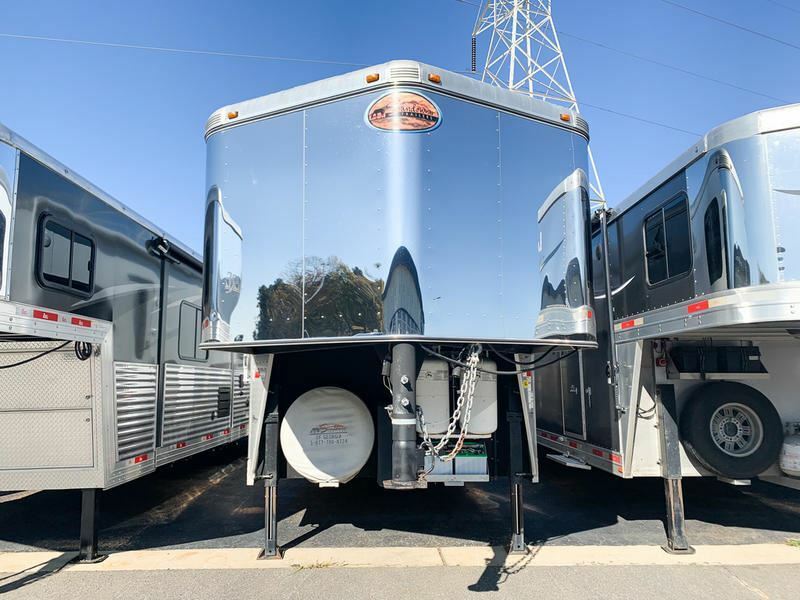 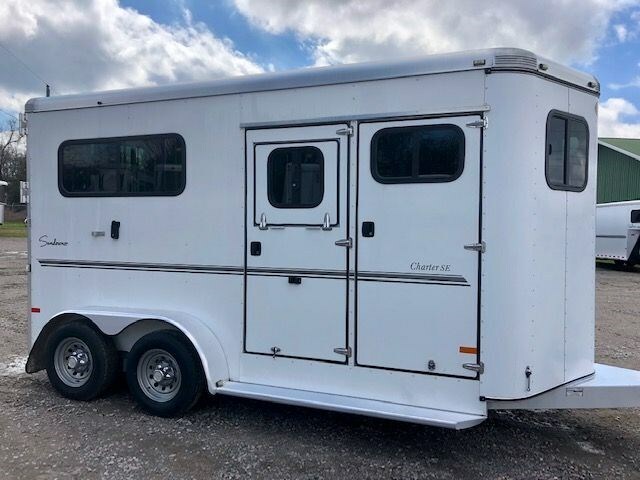 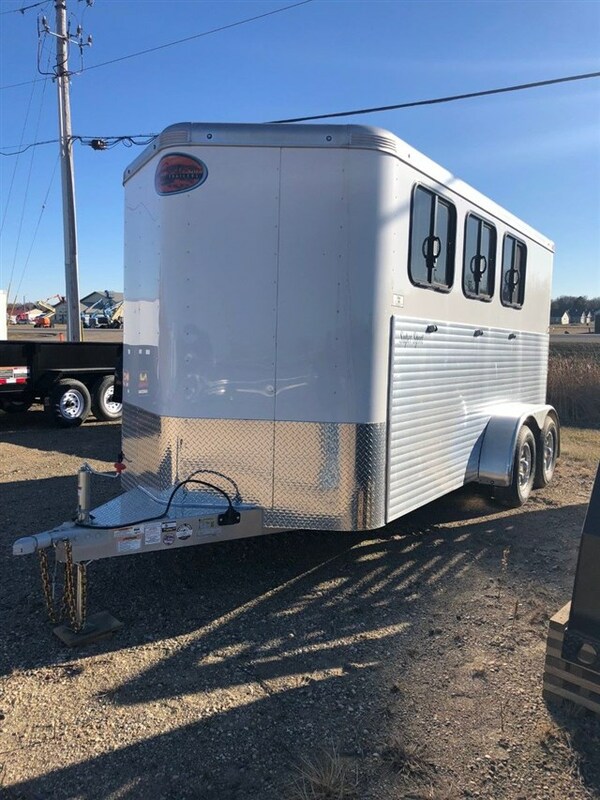 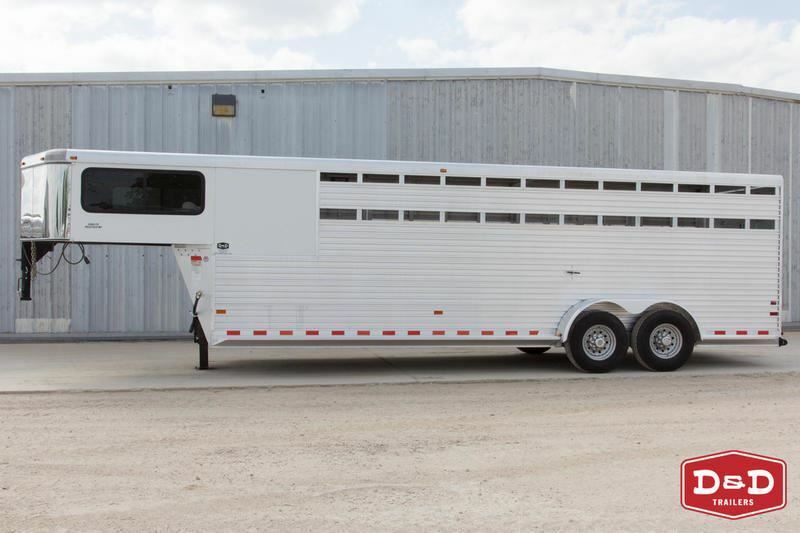 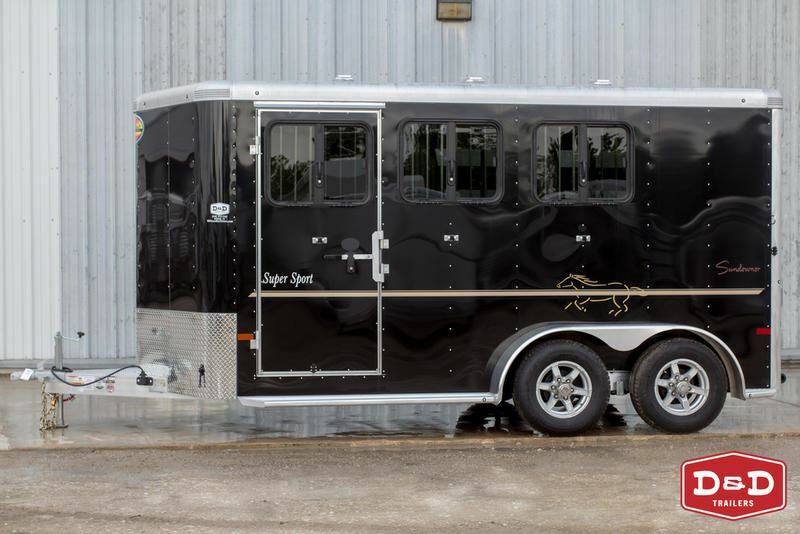 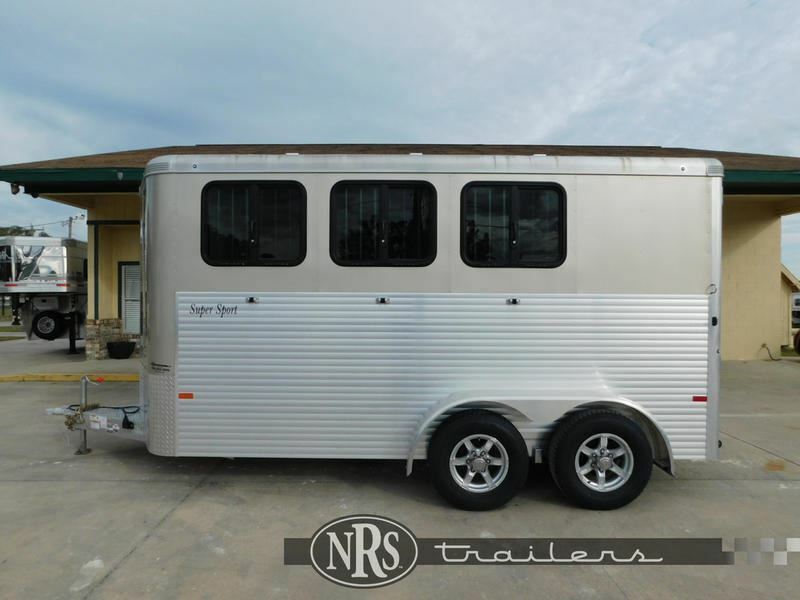 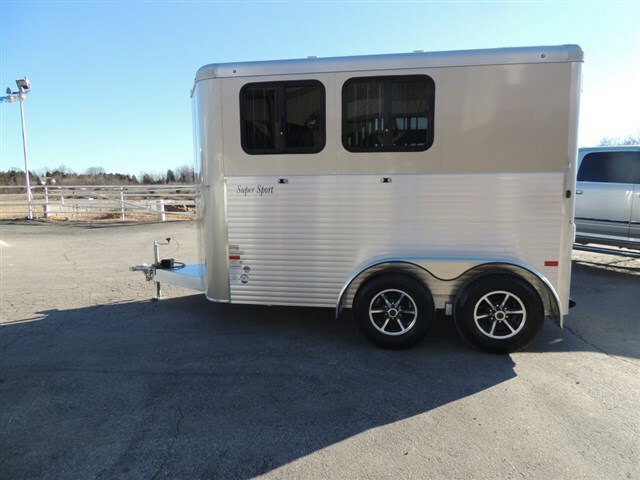 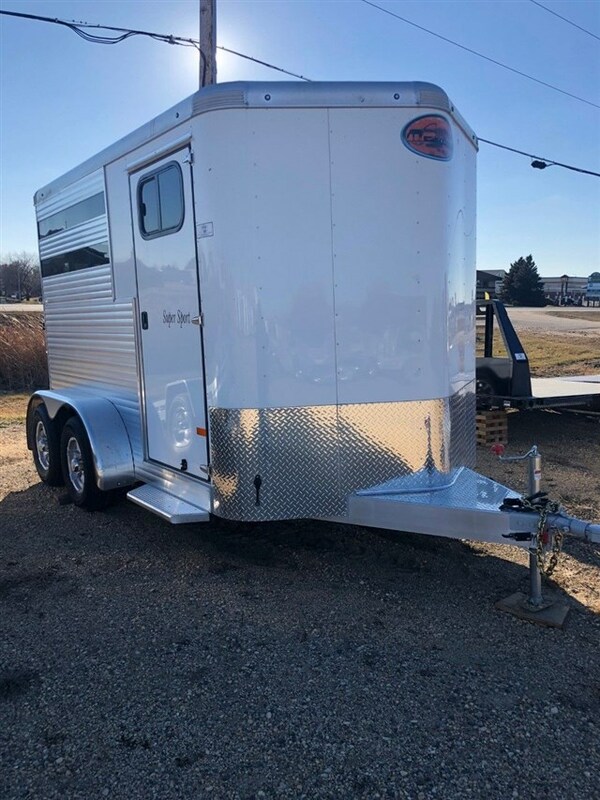 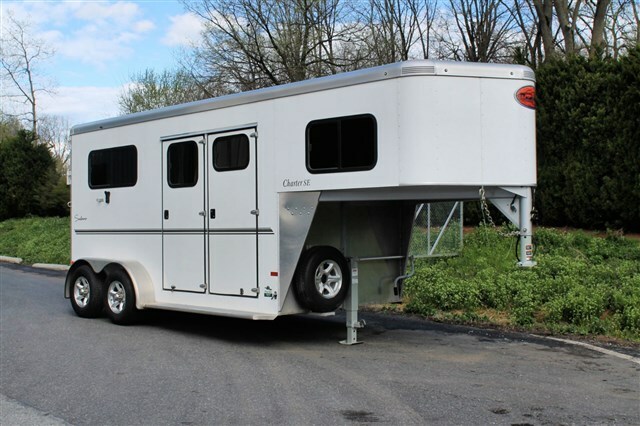 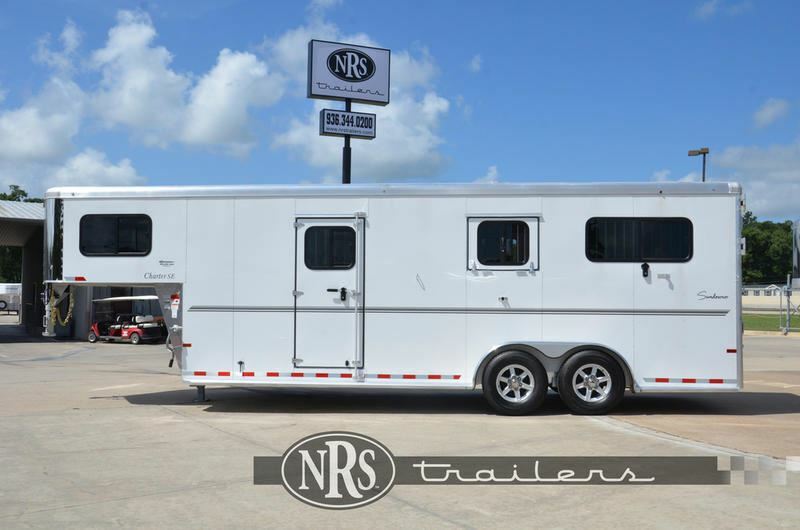 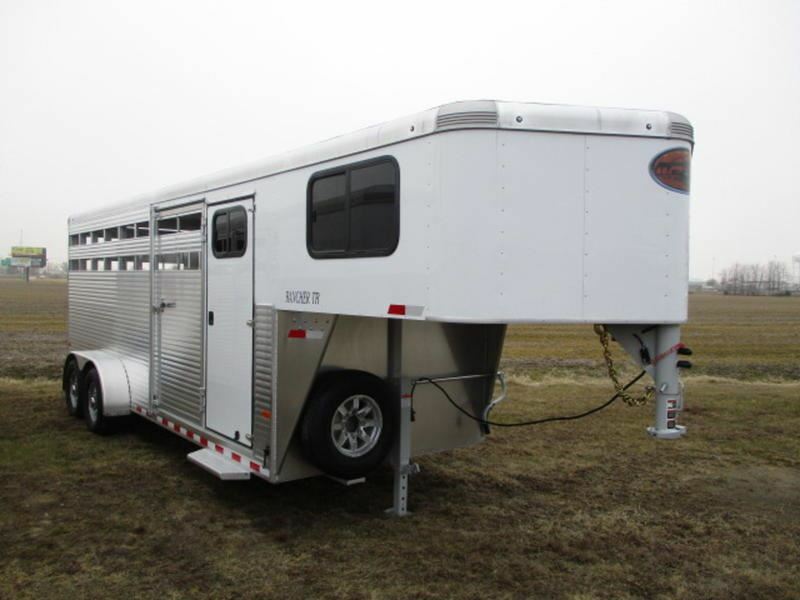 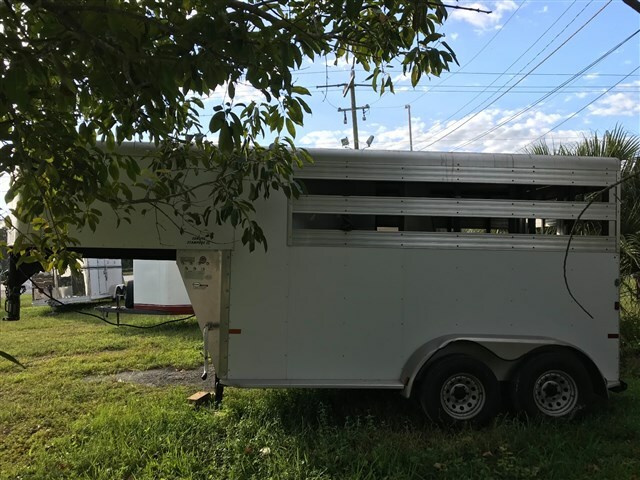 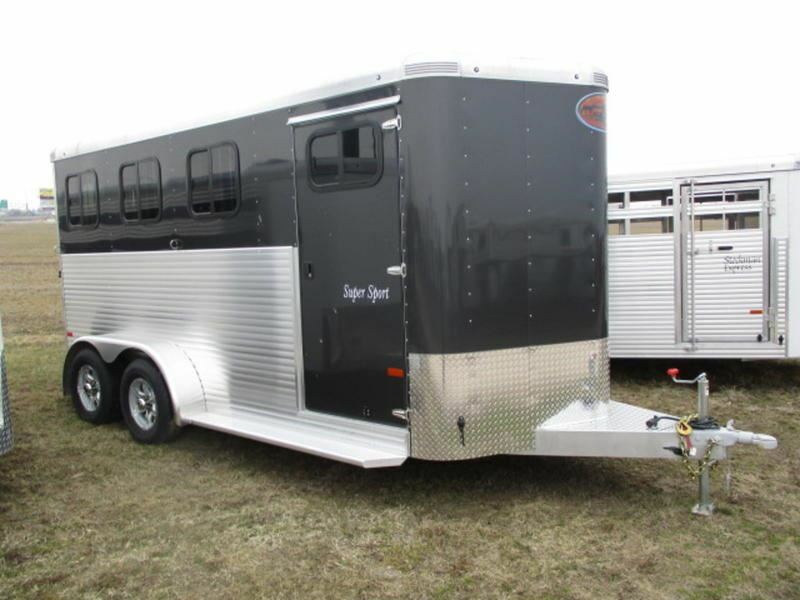 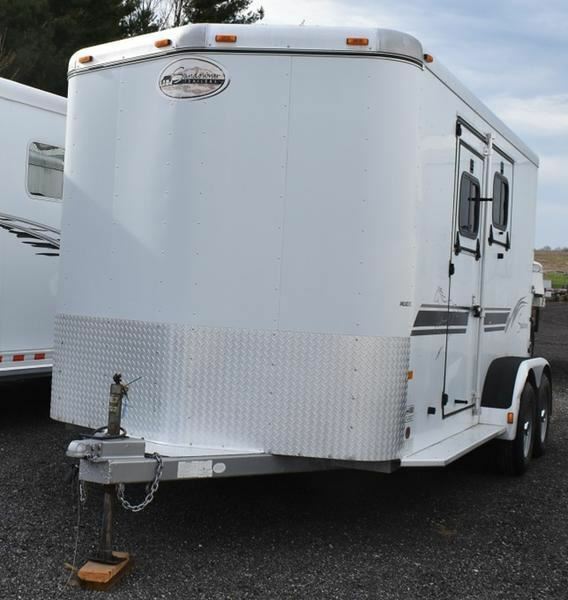 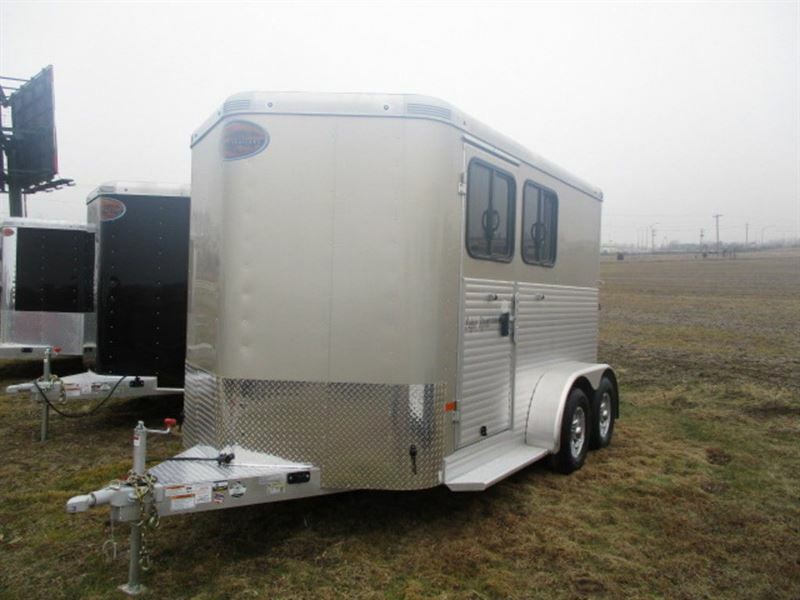 2017 2 horse Sundowner Super Sport 8x15x7'6"
2015 3 horse Sundowner 3H Bumper Pull, Dress area, Rear tack. 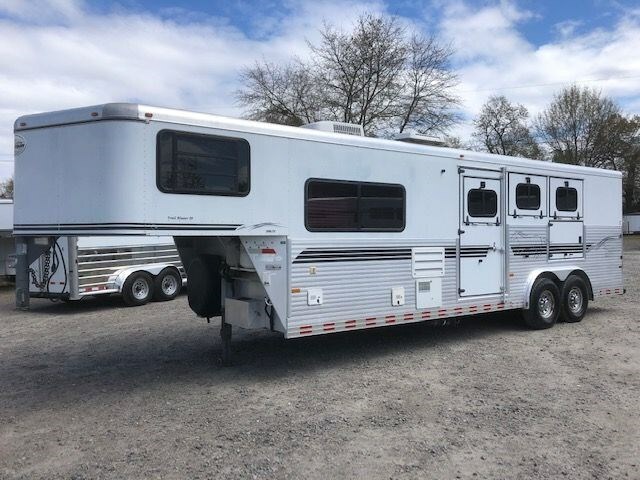 2007 4 horse Sundowner 4H 19' LQ, Super Slide, Generator, Loaded! 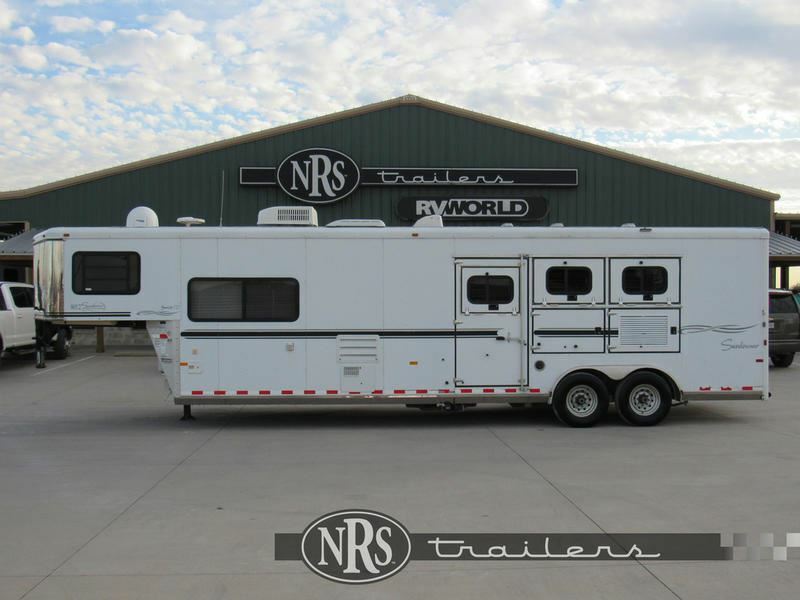 2006 3 horse Sundowner 3H Weekender Go Anywhere! 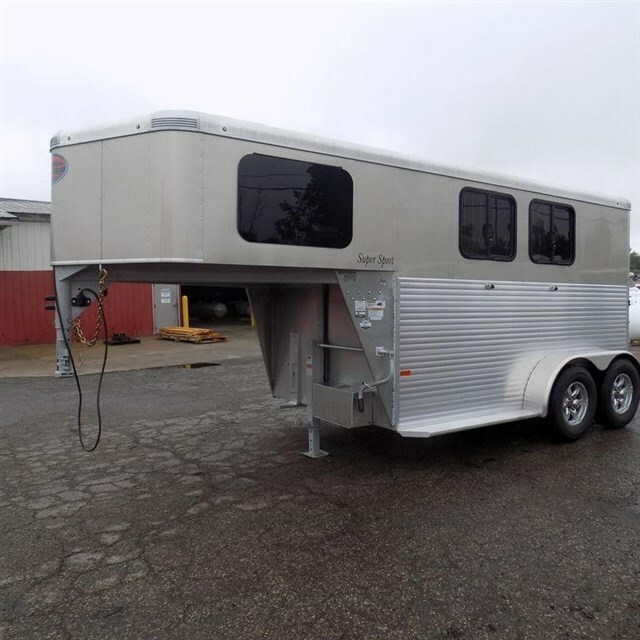 2006 4 horse Sundowner 12ft LQ !! 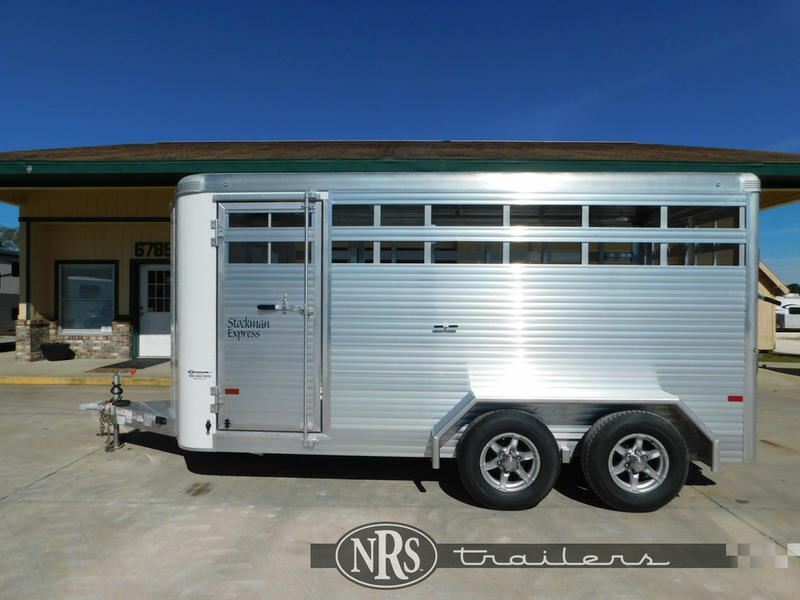 Nice trailer !! 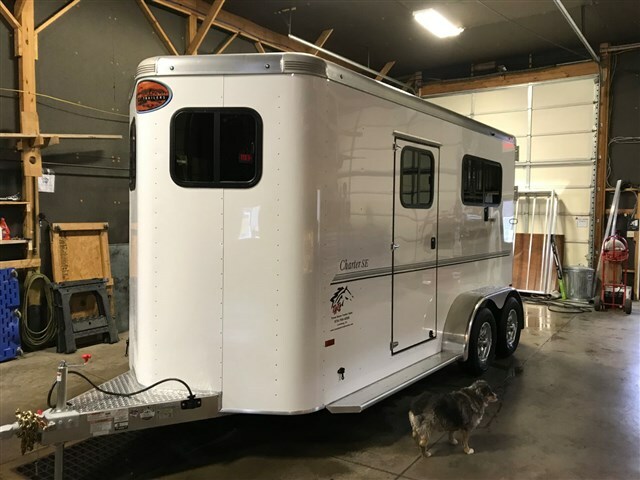 Gen prep !! 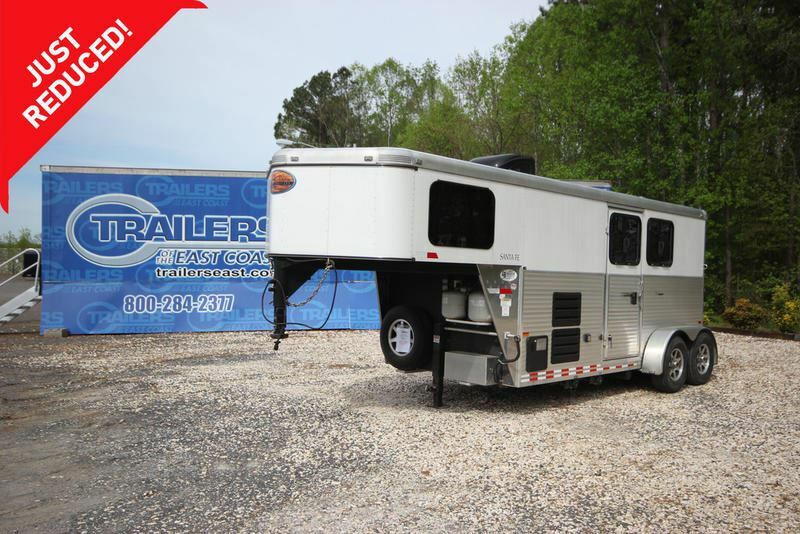 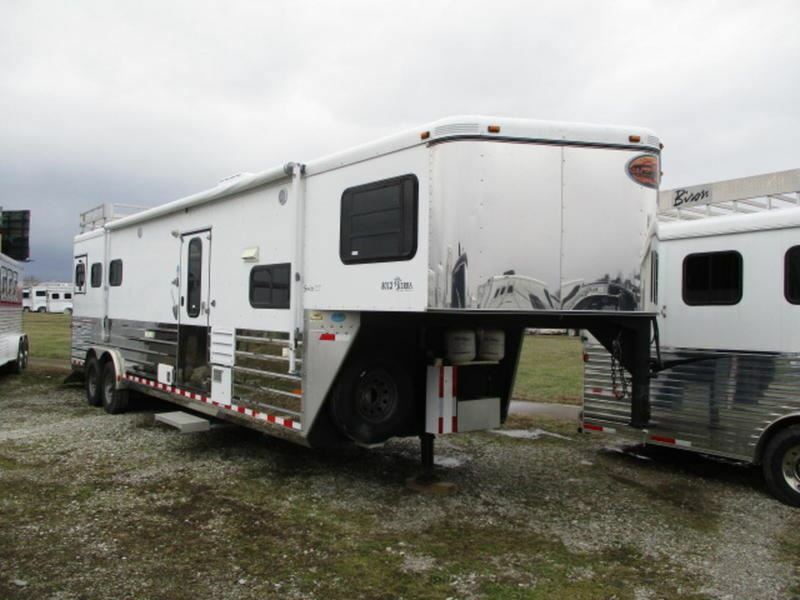 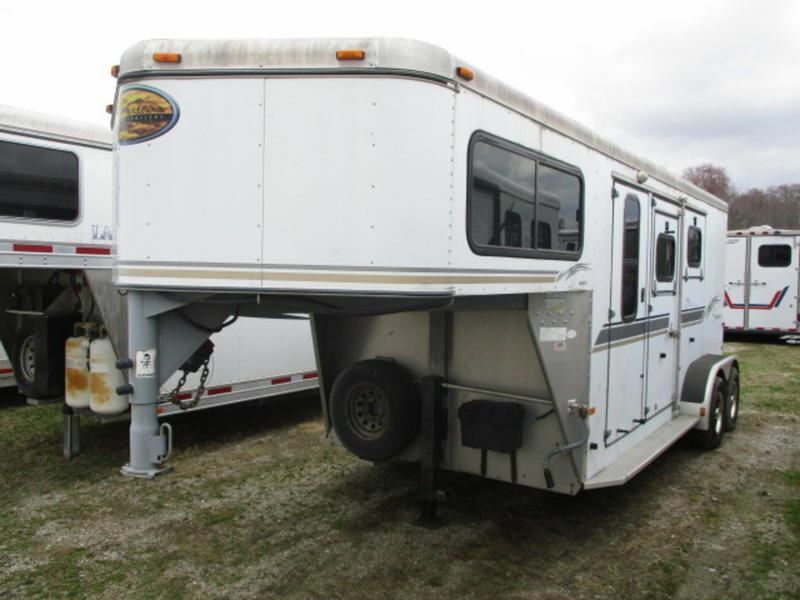 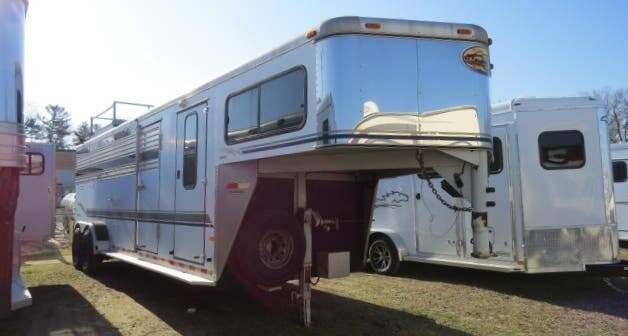 2005 2 horse Sundowner 8x28- 2 horse side load & toy hauler!! 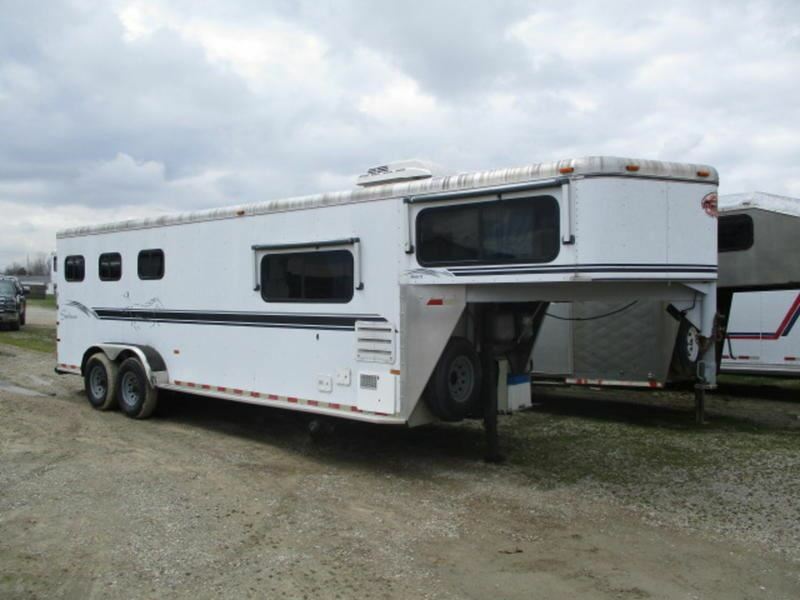 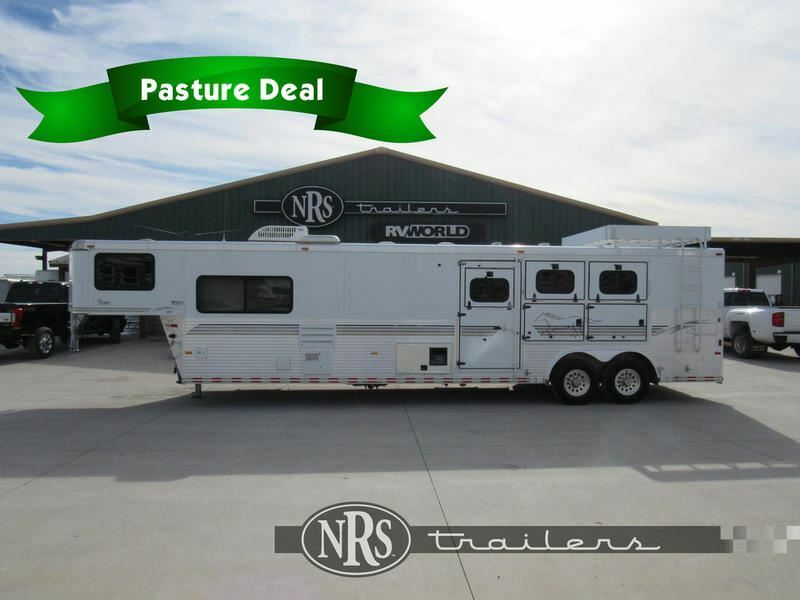 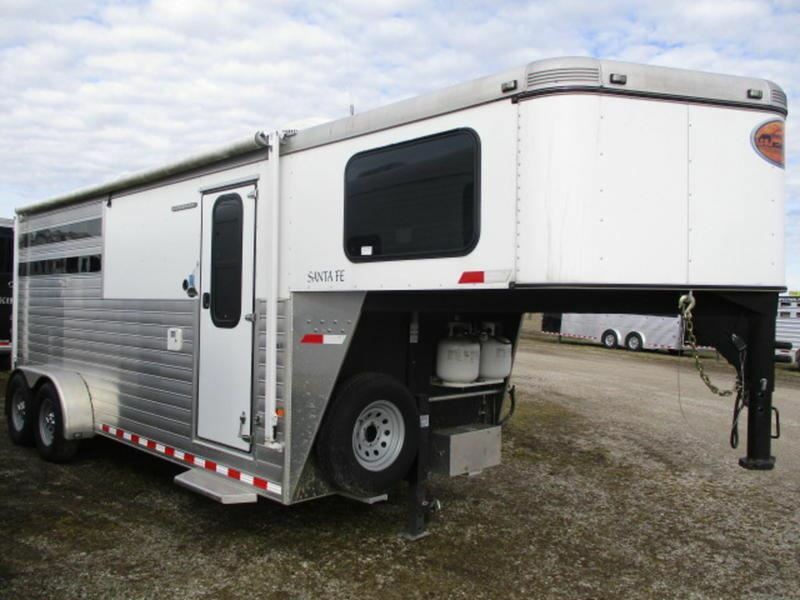 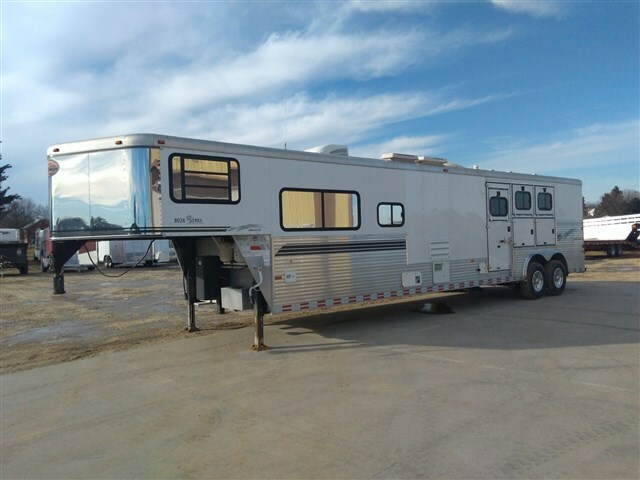 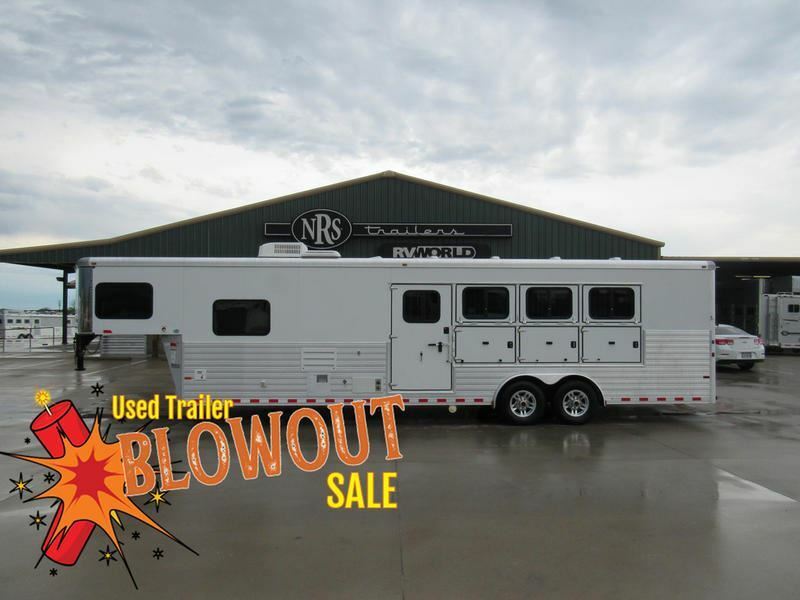 2004 3 horse Sundowner 3 HORSE GOOSENECK w/ AC! 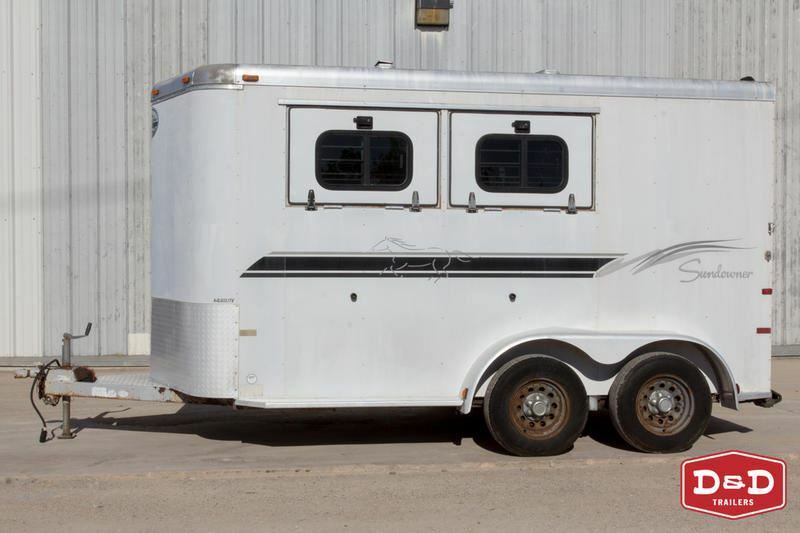 1997 3 horse Sundowner //sale pending// 8308 Siesta, 8' wide & Mangers!